Confirms the minutes of the meeting of the Planning and Regulatory Committee, held on 23 August 2018, as a true and correct record. Approves completion of a user survey and informal consultation on the extent of alcohol-related issues occurring beside the Kerr Street Walkway. Approves Luke Grogan to be an alternate Regional On-Scene Commander for the Nelson region under the Maritime Transport Act 1994 effective from 16 November 2018. 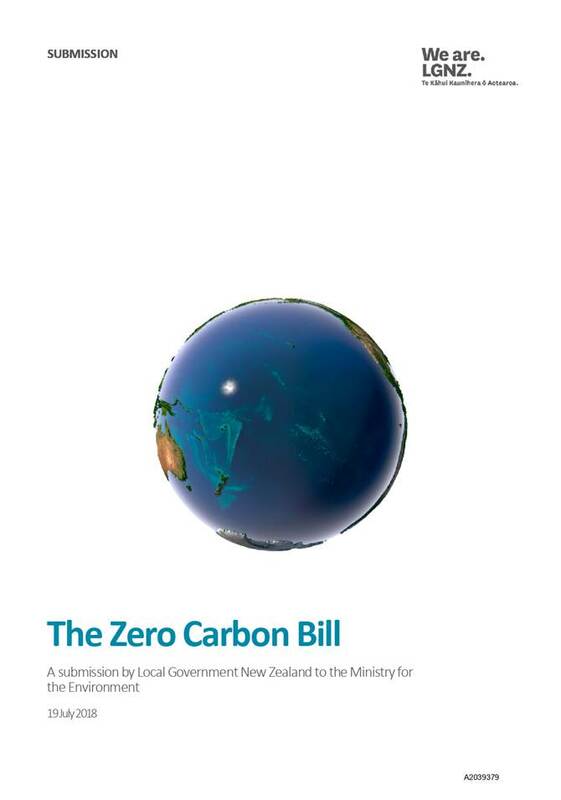 Approves in retrospect the Nelson City Council submission on the Zero Carbon Bill (A2012211). Approves amending the indicative timeline for release of the Draft Nelson Plan to statutory stakeholders and iwi to August 2019 following further internal testing, legal review, and Working Group review. 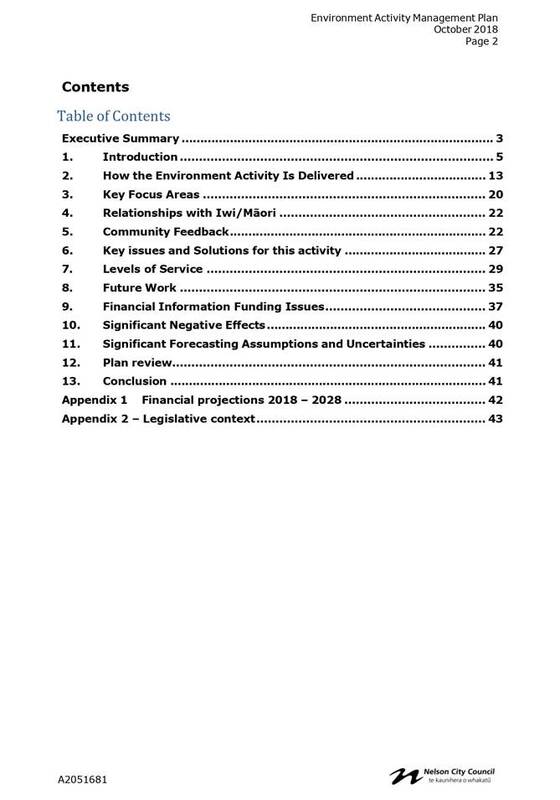 Receives the report Adoption of the Environment Activity Management Plan 2018-2028 (R9499) and its attachment (A2051681). 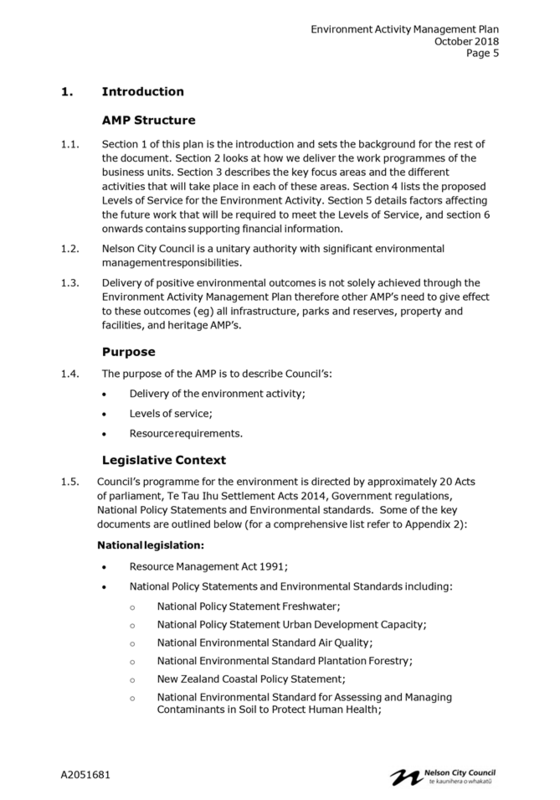 Adopts the Environment Activity Management Plan 2018-2028 (A2051681). Receives the report Amendments to the Nelson Resource Management Plan to implement the National Environmental Standard - Plantation Forestry (R9645) and its attachment (A2001205). On Thursday 23 August 2018, commencing at 9.00a.m. An apology for lateness was tendered by Councillor K Fulton. Ms Murray spoke about the health and social impacts on families and deprived communities associated with gambling machines. She further noted that Nelson Marlborough Health was in support of Council consulting with the community about this policy and would like to make a submission. Attendance: Councillor Fulton joined the meeting at 9.06a.m. Document number M3610, agenda pages 6 - 10 refer. Confirms the minutes of the meeting of the Planning and Regulatory Committee, held on 5 July 2018, as a true and correct record. Document number R9512, agenda pages 11 - 34 refer. Executive Officer, Michelle Joubert presented the report. Brent Edwards, Manager Environmental Inspections (EIL) answered questions about enforcement of the Freedom Camping bylaw, i.e. the issue with the recovery of fines from non-NZ residents in cases of non-payment; interactions with homeless people, and challenges to EIL staff through abusive behaviour. Agrees that any potential review of the Freedom Camping Bylaw 2017 will commence after the findings of the Government’s Freedom Camping Working Group have been published. Document number R9358, agenda pages 35 - 87 refer. Policy Adviser, Gabrielle Thorpe presented the report and supporting Powerpoint slides (attached A2035602). Discussion took place whether a more open consultation process could be facilitated. Group Manager Strategy and Communications, Nicky McDonald noted that Council was required to use the special consultative procedure (SCP) as described under the Local Government Act 2002 (83) and that the SCP required Council to prepare a Statement of Proposal which identified a preferred option. The meeting was adjourned from 10.21a.m. to 10.34a.m. Councillor Dahlberg moved the officer’s recommendation, seconded by Ms Paine. Notes that a review of the Council’s Gambling Policy, which is required under the Gambling Act 2003 and Racing Act 2003, has been undertaken and is outlined in this report. Discussion took place regarding option 2 of the report, i.e. the introduction of a sinking lid, which would result in no new gaming venues to be established, supporting harm minimisation. Ms McDonald noted that the sinking lid had been proposed in the 2012 Gambling Policy review, and that this had not been favoured, with 52 submissions received against the sinking lid approach. Councillor Acland, seconded by Councillor Fulton, moved an amendment to the motion. Amends the draft Statement of Proposal to reflect the Committee’s preferred option 2. Further discussion took place regarding the number of gaming machines per new venue. It was suggested that option 3 of the report be considered along with options 1 and 4 in the Statement of Proposal, to help change the atmosphere of venues and make gaming less dominant. Councillor Fulton, seconded by Councillor Acland, moved an amendment to the motion. Amends the draft Statement of Proposal to also include option 3, changing the number of gaming machines from nine to five for new venue applications within clause 1.2.2. The amendment was carried and became the substantive motion. 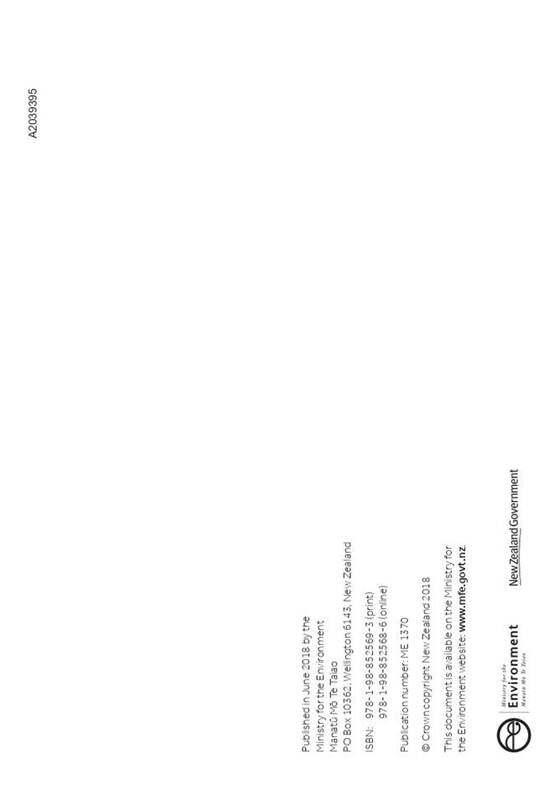 Document number R9571, agenda pages 88 - 110 refer. Document number R9348, agenda pages 111 - 151 refer. Manager Consents and Compliance, Mandy Bishop, Manager Environment, Matt Heale, Manager Building, Martin Brown, Team Leader City Development, Lisa Gibellini and Team Leader Science and Environment, Jo Martin presented the report. A correction to agenda page 123, item 8.13, was noted. 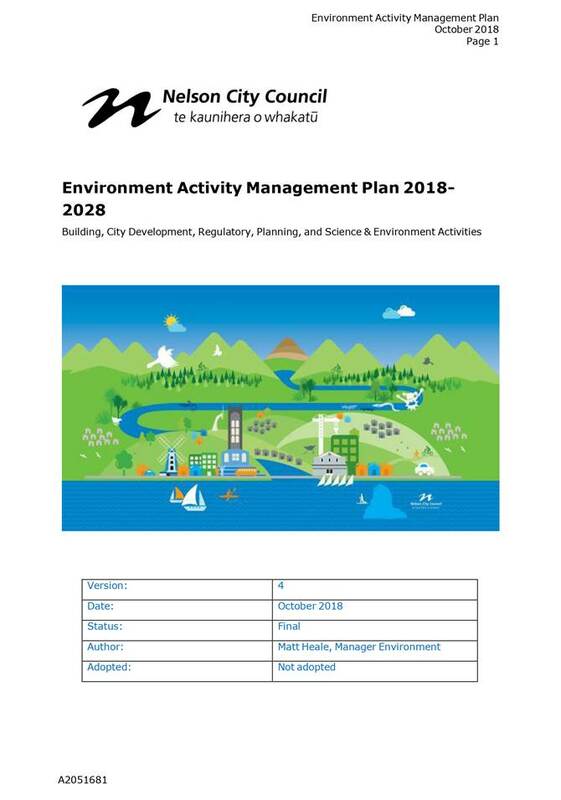 The adoption of the Environment Activity Management Plan 2018-2028 would be included in a future Planning and Regulatory Committee agenda, not the current one as stated. A verbal update on legal proceedings was provided. It was noted that the format of the Nelson District Licensing Committee annual report would change in future. Approves the Nelson District Licensing Committee Annual Report 2017-2018 in Attachments 3 to 5 to Report R9348 (A2002680, A1786147 and A2002639). There being no further business the meeting ended at 11.11a.m. 1.1 To decide how to respond to concerns from local businesses and residents about alcohol consumption beside the Kerr Street Walkway. 2.1 Concerns have been raised about people drinking alcohol by the Kerr Street Walkway and the potential impact of this activity on people’s safe use of the area. However, drinking alcohol by the Kerr Street Walkway is not controlled through a Council bylaw and the Council lacks sufficient evidence of incidents of crime or disorder associated with drinking in the area. More information is needed to support decision making on whether any regulatory and/or non-regulatory actions should be taken to enhance safety in this area. 4.1 Schedule A of the Urban Environments Bylaw No.225 lists a number of public places within Nelson where alcohol is prohibited at all times, and another group of public places where alcohol is prohibited overnight (from 9pm to 7am). 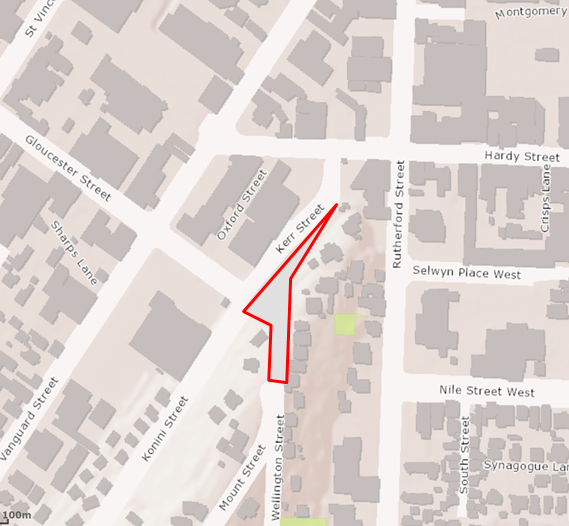 The Kerr Street Walkway (identified in red below) is not included as a prohibited area. · Arrest a person who refuses to comply with a request from the Police to either leave the public place, or to surrender their alcohol. 4.3 Anyone who acts in breach of the alcohol-related bylaw provisions can be issued with an infringement notice (and be required to pay a fine). 4.4 Councils are only able to use the bylaw powers to prohibit alcohol in areas where a high level of crime or disorder can be shown to have been caused or made worse by alcohol consumption in the area. This is outlined in section 147B of the Local Government Act 2002. 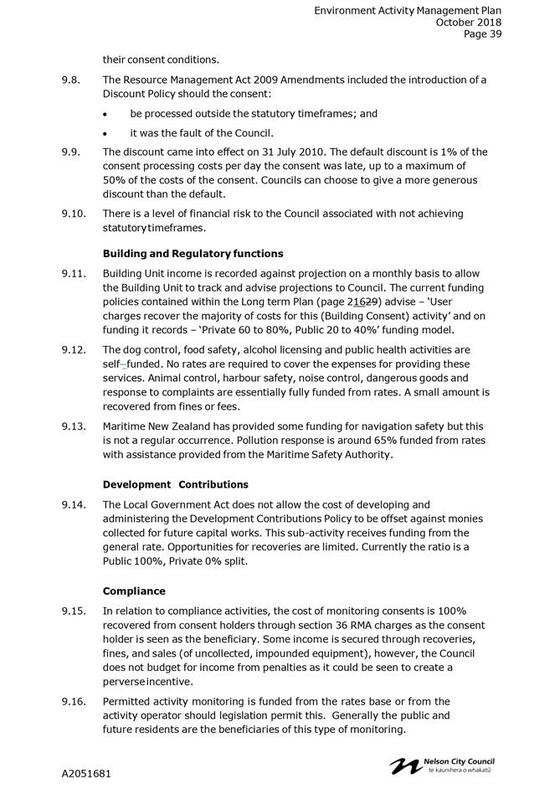 4.5 This means Council can only add the Kerr Street Walkway to Schedule A if there is sound and objective evidence that a high level of crime or disorder is occurring as a result of alcohol consumption in that reserve. 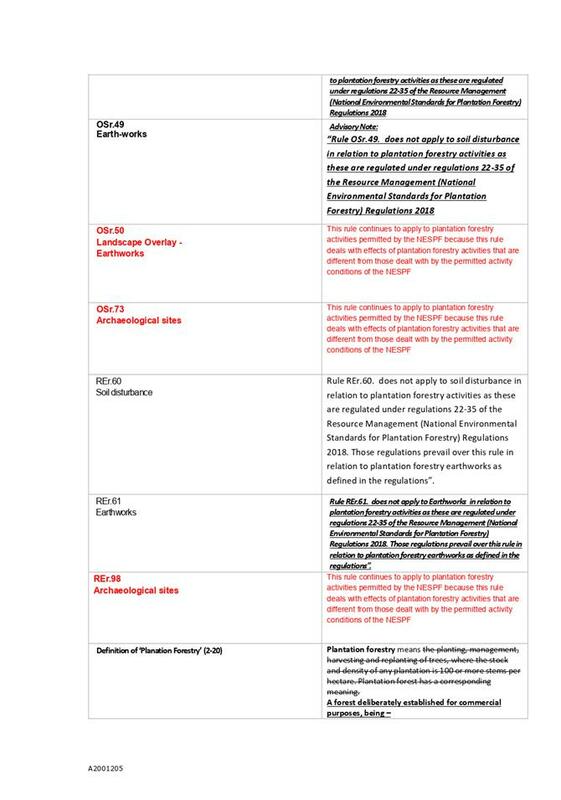 5.1.1 The Council may from time to time pass a resolution to amend the places listed in Schedule A to which this Bylaw applies, or amend the period during which drinking alcohol is prohibited in a specified place. 5.1.2 Every resolution made to change Schedule A shall be publicly notified at least 14 days before it shall take effect. 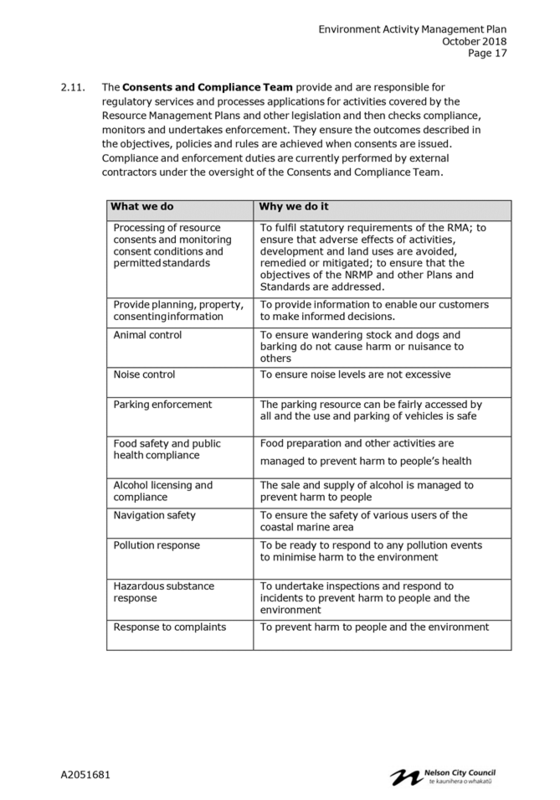 5.2 Therefore, if the Council gains sufficient evidence that a high level of crime or disorder is occurring as a result of drinking in Kerr Street Reserve, it is a simple process to amend the Bylaw. 5.3 Council became aware of a potential issue via a neighbour to the Walkway. The Mayor requested Police data on crime and disorder in the area at a regular briefing with the Police. No conclusive information has been provided. This means Council does not currently have sufficient evidence to support a change to Schedule A of the Urban Environments Bylaw. 6.1 Do nothing now, but note Kerr Street Walkway as a potential area to include in Schedule A when the Urban Environments Bylaw 2015 is next reviewed. (This review needs to be initiated in 2020 and completed by 2022). 6.2 Commission a user survey for Kerr Street Walkway; and carry out informal consultation with stakeholders to identify any safety concerns related to Kerr Street Walkway. 6.3 This informal consultation would include a request for further information from the Police and a request for feedback from neighbouring residents and businesses, as well as from relevant social service agencies (including the Men’s Shelter, Male Room, Salvation Army, Alcohol & Drug Treatment Services, the Ministry of Social Development, and the Health Action Trust) to see what can be done to address the issue. · It would be more efficient to carry out an investigation on alcohol-related crime and disorder for all public places during the review of the whole Urban Environments Bylaw. · There would be more opportunity for wider public feedback on a proposed change to the bylaw during the review of the whole bylaw. 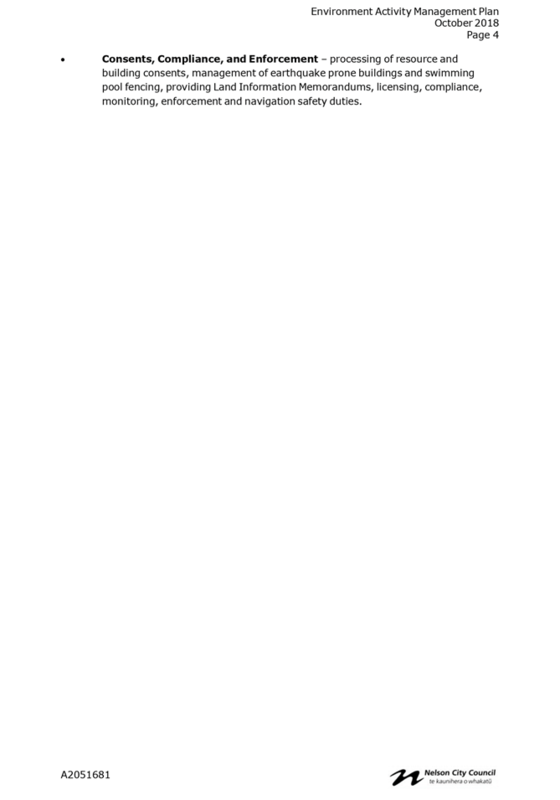 · Delayed response to a potential safety issue. · If substantive evidence is provided that leads to a change to Schedule A, the Police will be better able to control alcohol use on the Walkway. · A user survey may identify potential physical changes to Kerr Street Walkway to improve safety. · Informal consultation may raise unrealistic expectations that Council will ban alcohol consumption by Kerr Street Walkway. 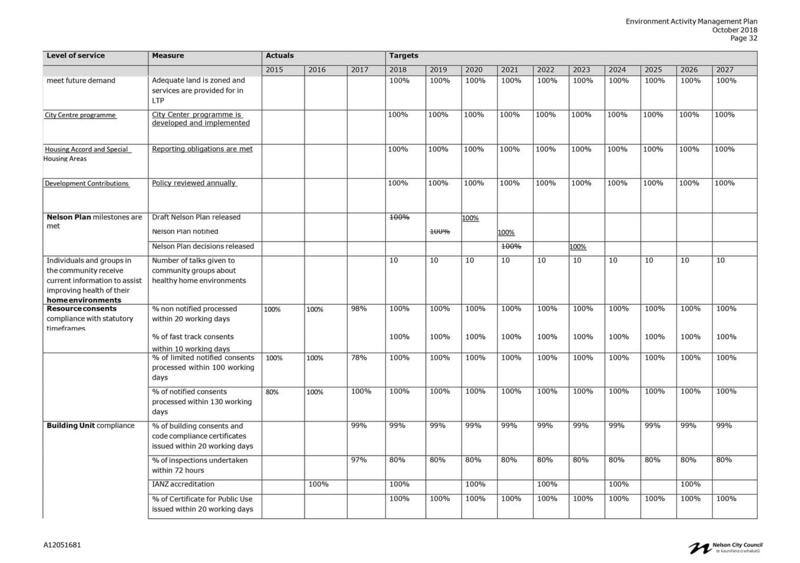 · Cost and time to carry out user survey and informal consultation process. 6.4 Option 2 will provide useful information about the scale of the issue, which Council will be able to use to make an informed decision on the most appropriate regulatory and/or non-regulatory responses. 7.1 Council needs more information before it can decide on the most effective response to concerns about alcohol consumption by Kerr Street Walkway. Therefore, Officers recommend option 2, the implementation of a user survey and an informal consultation process. Completing a user survey and investigating potential issues in Kerr Street Walkway will enable better understanding of what action the community might need in this location to promote safety. Our urban and rural environments are people-friendly, well planned and sustainably managed — Good urban design and thoughtful planning create safe, accessible public spaces for people of all ages, abilities and interests. The proposed approach seeks to reduce public safety risks. There is a risk of ongoing disturbance and complaints if no action is taken. 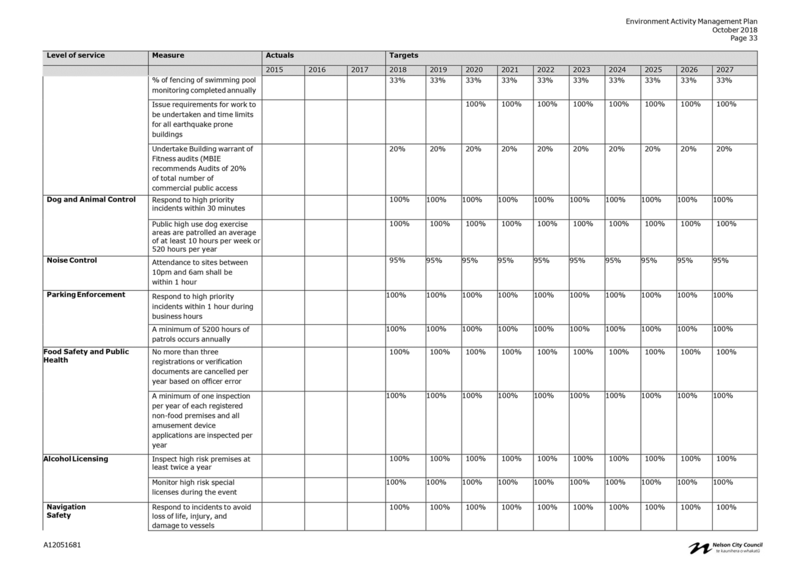 The costs of a user survey and informal consultation process are minor and can be absorbed within existing budgets. This matter appears to be of low significance, but this assessment may change following the user survey and informal consultation process. The Planning and Regulatory Committee has the following delegations to consider Kerr Street Walkway. · To undertake community engagement other than Special Consultative Procedures for any projects or proposals falling within the areas of responsibility. 1.1 To appoint Brent Edwards as primary regional on-scene commander (ROSC) and Adrian Humphries (Tasman District Council) and Luke Grogan (Marlborough District Council) as the alternate ROSCs for the Nelson region. 3.1 Nelson City Council (NCC) has a responsibility under the Maritime Transport Act 1994 (the MTA) to prepare for and manage marine oil spill events within the region. In addition to its regional responsibilities, NCC also forms a part of the national response capacity for large marine oil spill events. 3.2 A key role within the marine oil spill response function is that of the ROSC. The principal objective of the ROSC is to manage the prevention of further pollution from an oil spill and lead the containment and clean up the oil spill in accordance with marine oil spill contingency plans. 4.1 ROSC’s are appointed by regional councils under section 318 of the MTA. A copy of section 318 is attached as Attachment 1. In accordance with section 318(5) of the MTA, as there are no existing prescribed qualifications, regional councils are only entitled to appoint persons to be a ROSC with the approval of the Director of Maritime New Zealand. 4.2 In order to gain the approval of the Director of Maritime New Zealand (MNZ), a person must attend and pass the on-scene commander training course. In order to retain their qualification, a ROSC is required to revalidate their training by attendance at an on-scene commander course every six years. 4.3 Stephen Lawrence from Environmental Inspections Ltd (EIL) has been Nelson’s ROSC since 1992. He will retire from EIL on 2 November 2018. 4.4 Brent Edwards has attended and passed the ROSC course and has participated in the local oil spill training exercises with Tasman District Council and Maritime New Zealand as well as national training exercises. 4.5 Adrian Humphries and Luke Grogan are the ROSCs for Tasman and Marlborough District Council’s respectively. It is proposed they become the alternate ROSCs for Nelson in Brent’s absence given their experience and familiarity with the region. 5.1 There is no other qualified candidate for the Nelson region. Another option would be to approach Tasman’s ROSC to see if he would consider being Nelson’s ROSC at the same time. This is not preferred as his priority would be to the Tasman region in the first instance. It is more suitable that both Tasman and Marlborough’s ROSCs become alternates to Nelson’s primary ROSC. The appointment of a ROSC is a regional council responsibility to ensure any marine pollution incidences are managed promptly to minimise harm to the environment. 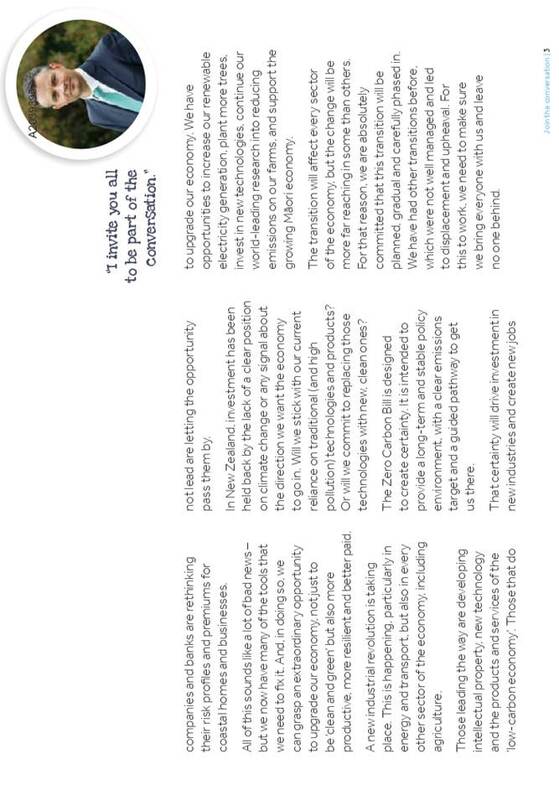 The recommendation aligns with the Long Term Plan community outcome of protecting Nelson’s natural environment. 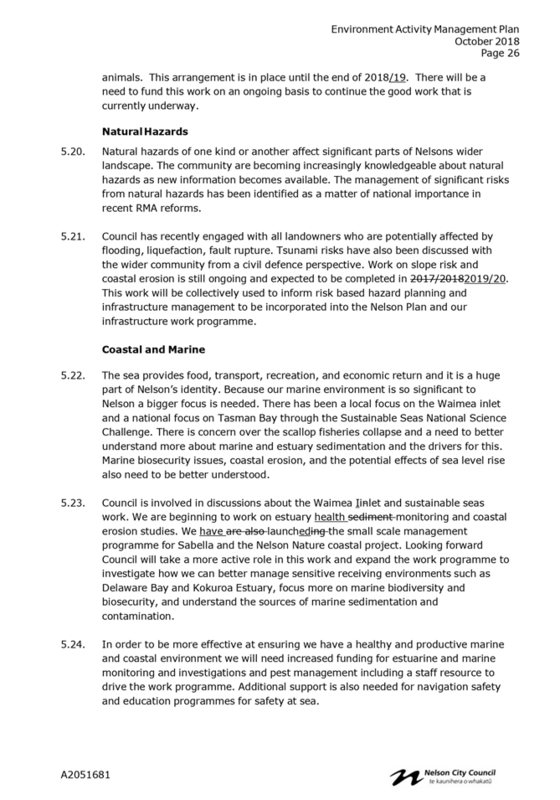 Without the appointment of a primary ROSC for the Nelson region any marine pollution incident responses may not be responded to effectively which could lead to greater environmental harm. There is no additional cost for Council if the recommendation is approved. If a primary ROSC is not appointed there could be larger costs if any marine pollution response is not managed appropriately. This matter is of low significance because if Council continues to have a primary ROSC there is a positive impact on the community. Council can review this decision at any time. · Any matters within the areas of responsibility. 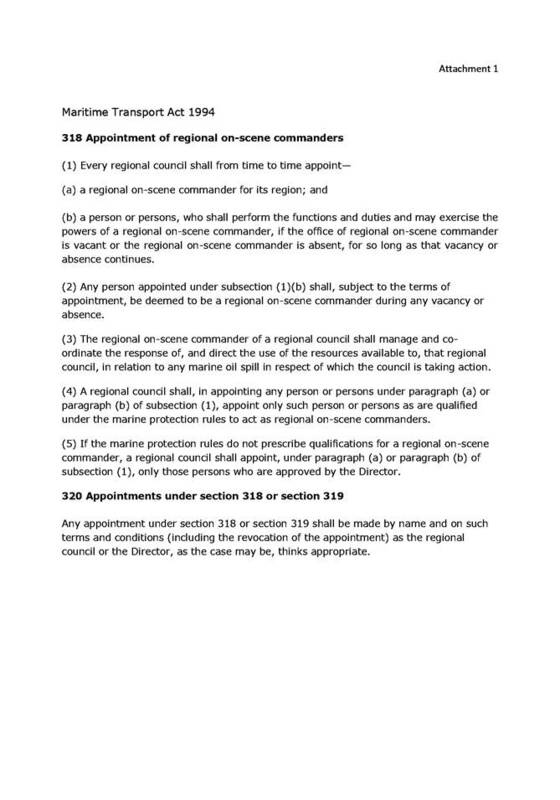 The Maritime Transport Act 1994 does not state the regional council can delegate its power to appoint regional on-scene commanders therefore this is a decision for the Council pursuant to section 318 of that Act. 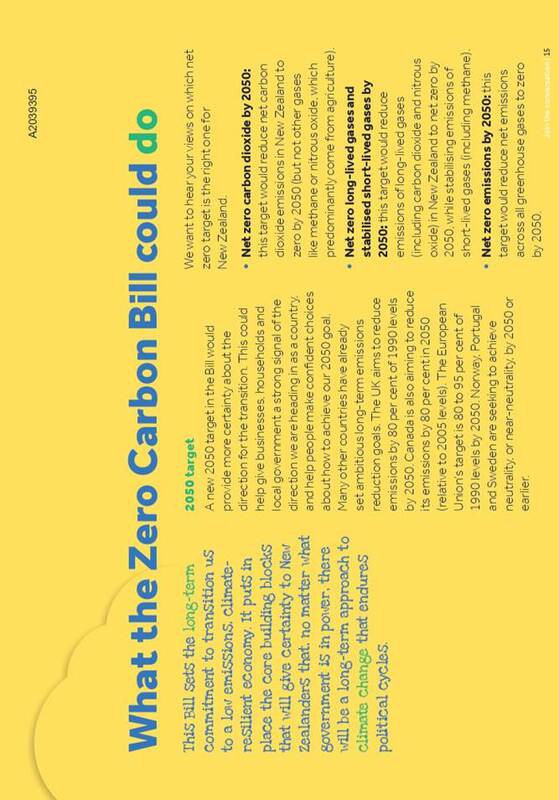 To retrospectively approve Nelson City Council’s submission on the Zero Carbon Bill. 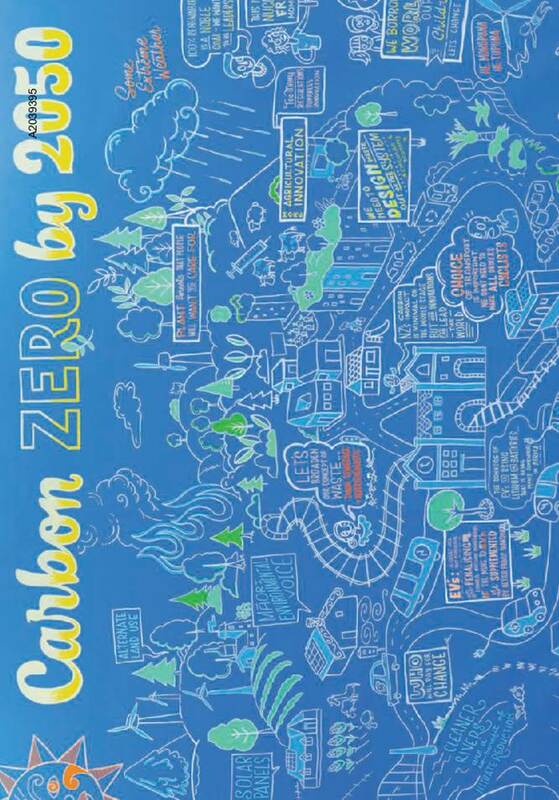 3.1 Consultation was open on the Zero Carbon Bill (ZCB) through the Ministry for the Environment until 19 July 2018. 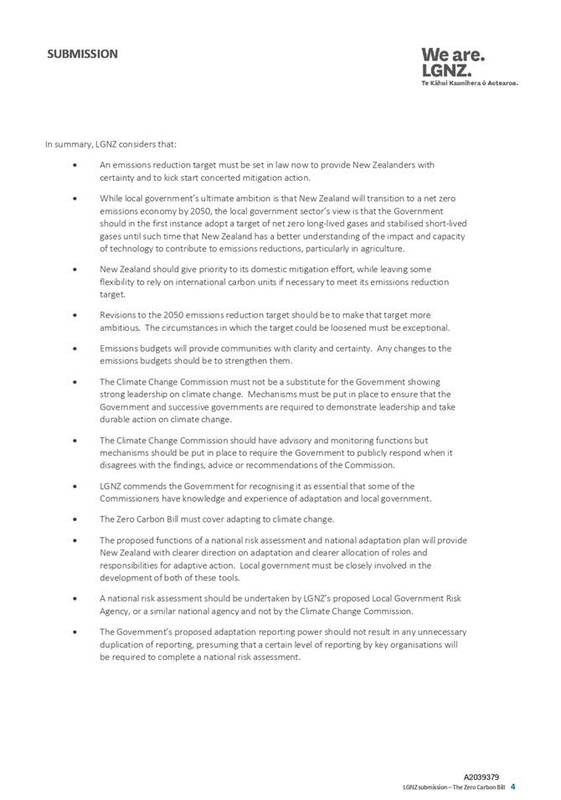 The intent of the Bill is to provide a long term pathway, with clear emission targets, to achieve net zero carbon emissions by 2050 (refer to attachment 1 for the ZCB summary document). 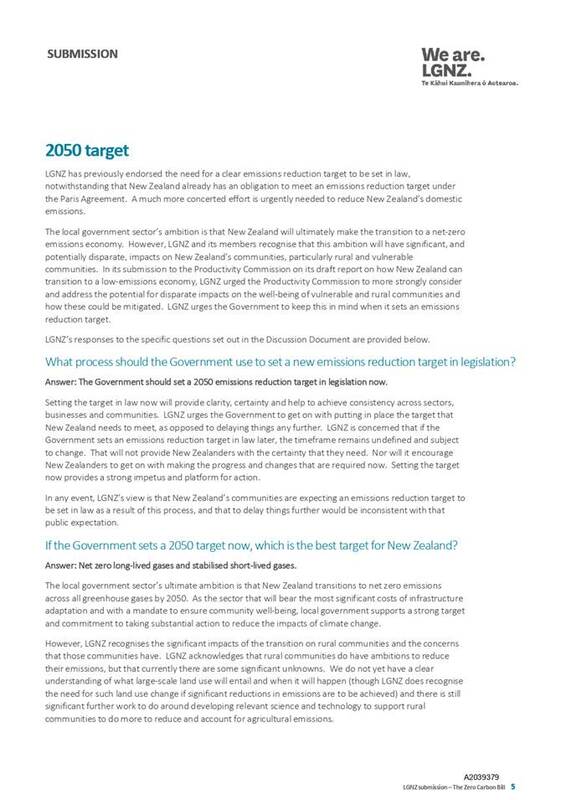 3.2.1 Setting in law a greenhouse gas emissions target for New Zealand, including which types of greenhouse gas we can emit over a period of time. 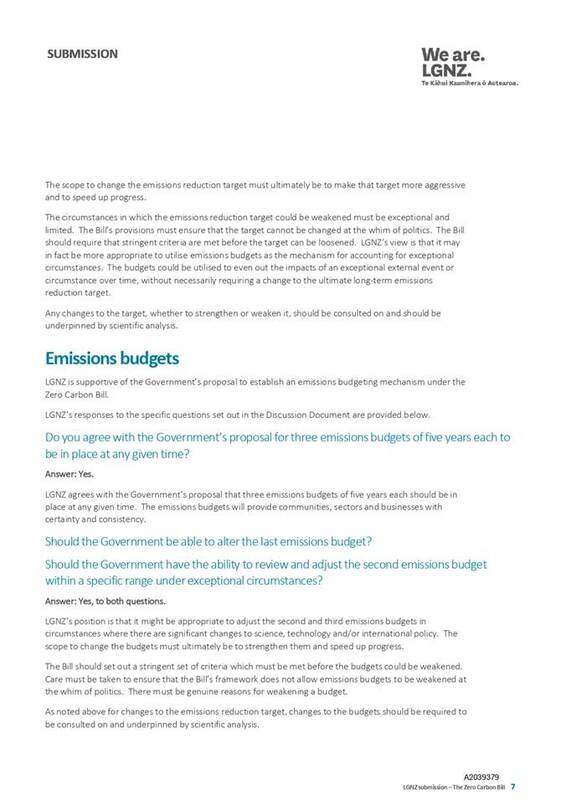 3.2.2 Putting in place ‘emissions budgets’ to set out how much greenhouse gas New Zealand can emit over a period of time. 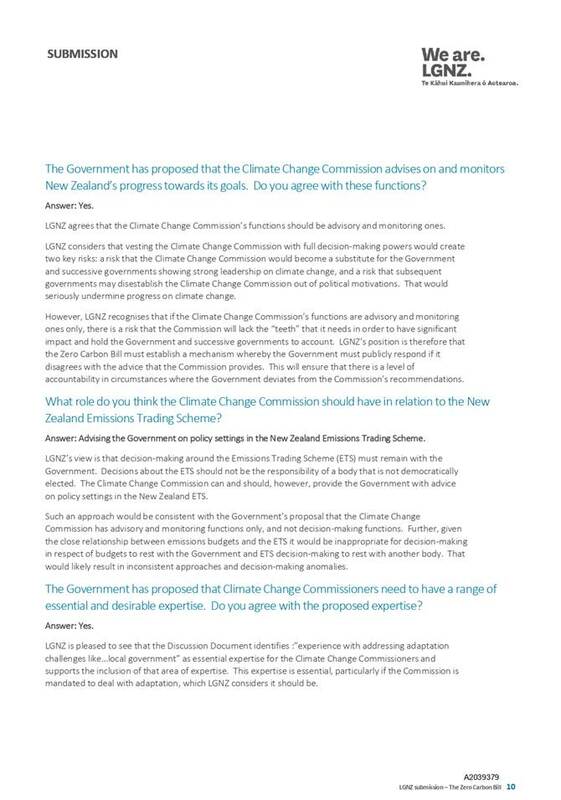 3.2.3 Establishing institutions, specifically a politically independent Climate Change Commission. 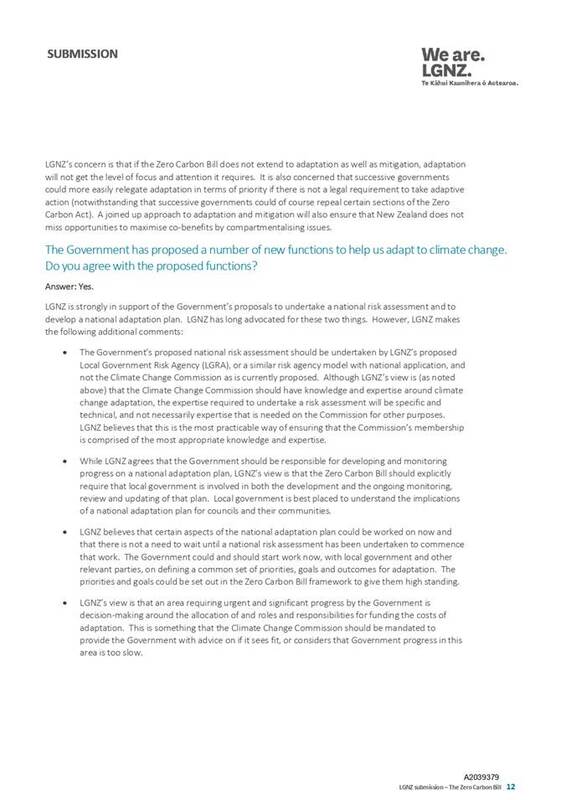 3.2.4 Requiring Government to have a plan for how to adapt to climate change, including a national climate change risk assessment, a national adaptation plan, and potentially some powers to ensure key organisations are managing risks to the economy. This could include introducing an adaptation reporting power to improve reporting on adaptation risks and opportunities. 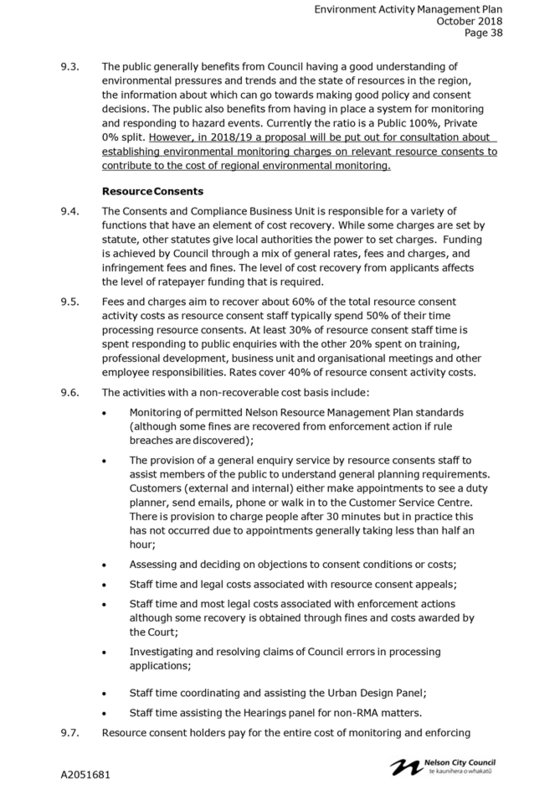 3.3 Council’s submission to the ZCB was prepared by the Group Manager Environmental Management in order to meet the submission timeframe (refer to attachment 2 for the Council submission). The Mayor was supportive of making a submission. 3.4 The submission is consistent with previous Council decision making. 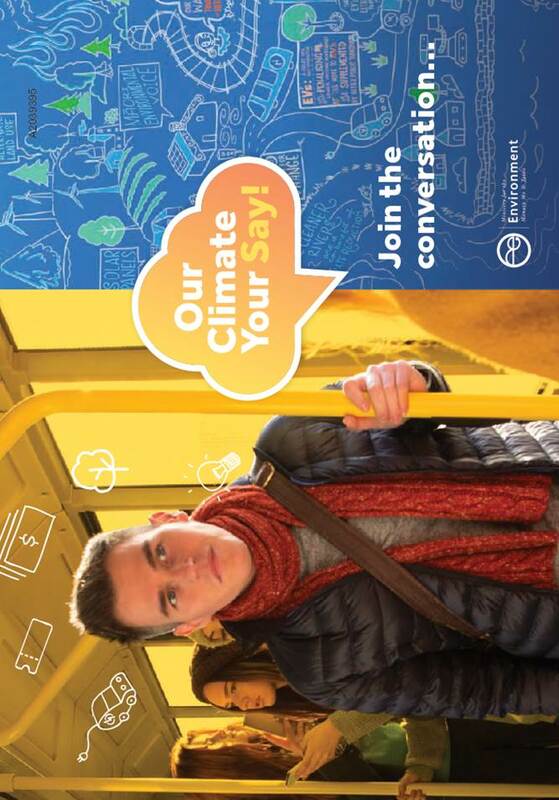 Council resolved on 3 May 2018 to agree in principle to several related climate change work streams and actions, including commitment to adopting and implementing a comprehensive plan to reduce carbon emissions. 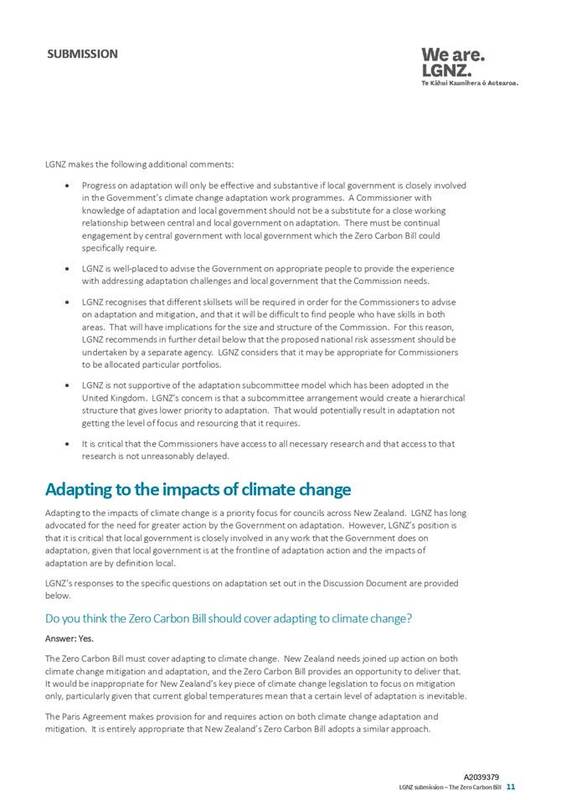 4.1 Local Government New Zealand (LGNZ) has made a comprehensive submission on the ZCB (refer to attachment 3). 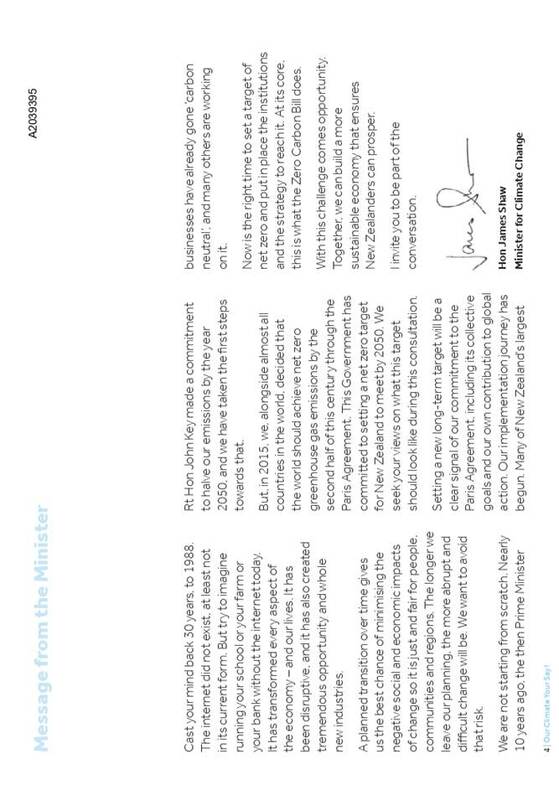 4.2.1 The Government has clearly stated that adaptation and mitigation should go hand in hand. In addition to the focus on Government-led coordination around adaptation and risk assessment, the Bill could also consider providing common tools for Government, local government and the wider community alike to measure greenhouse gas emissions. 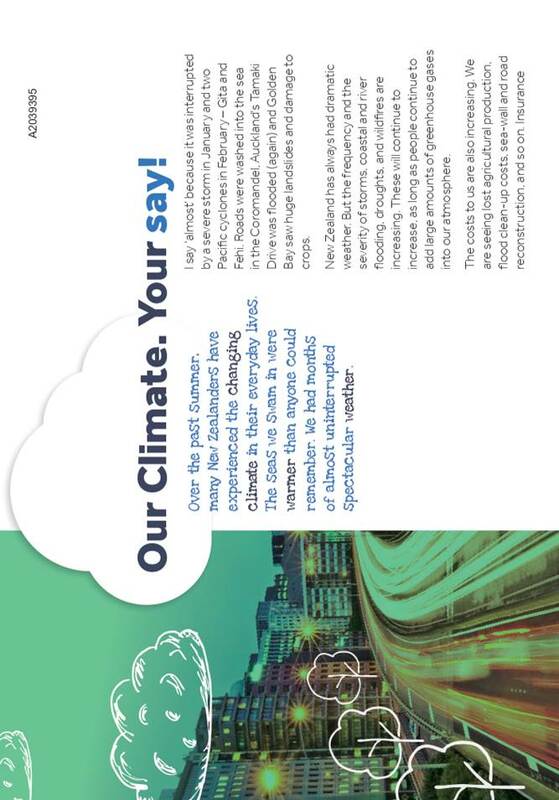 Climate action plans to reduce emissions are a critical element of achieving the proposed target of net zero emissions by 2050, and these require emissions measurement tools which are accessible and cost-effective, and which provide consistent measurement across all sectors. 4.2.2 With regards to the sharing of information through a targeted adaptation reporting power, the tool should include reporting on ecological risk as well as impact on infrastructure and services. This is important because there are a high number of nationally-threatened plants and animals in coastal and waterway ecosystems vulnerable to climate change effects. 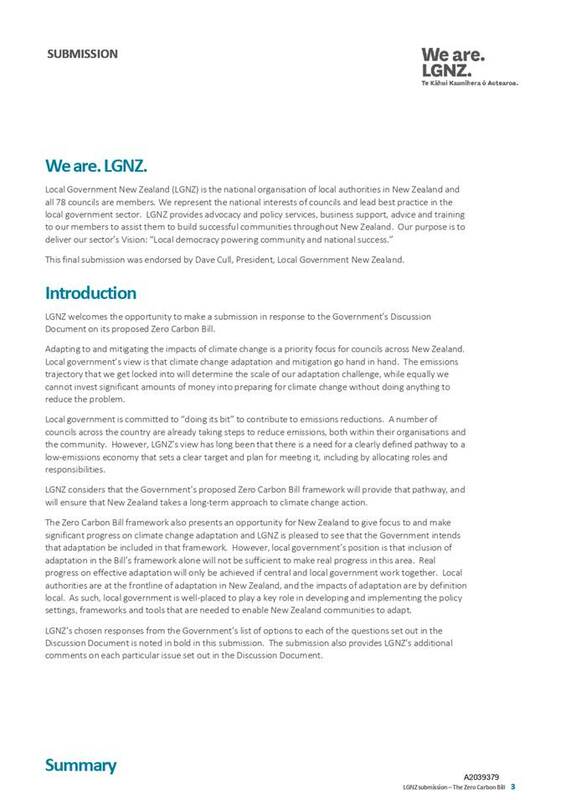 4.2.3 The LGNZ submission focuses on the role of local government in the development of tools to achieve carbon emission reduction goals. 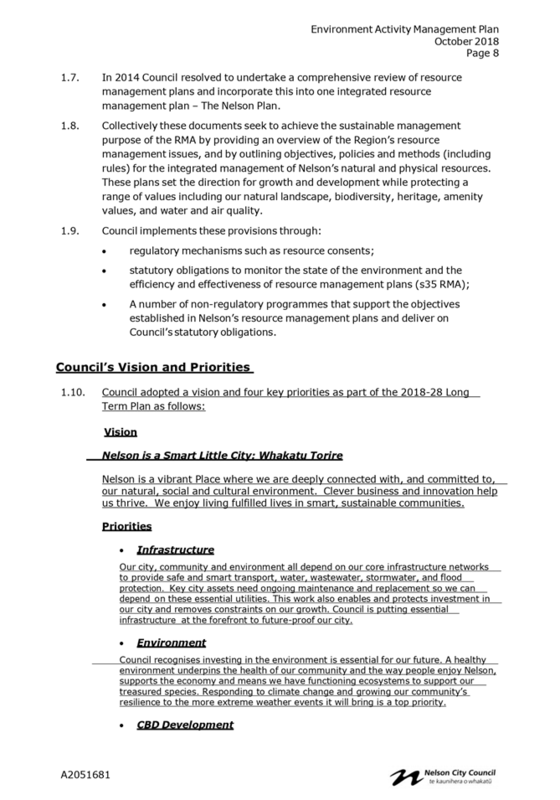 Nelson City Council considers that from the outset there needs to be explicit recognition that achieving these goals requires whole-community collaboration, including iwi. 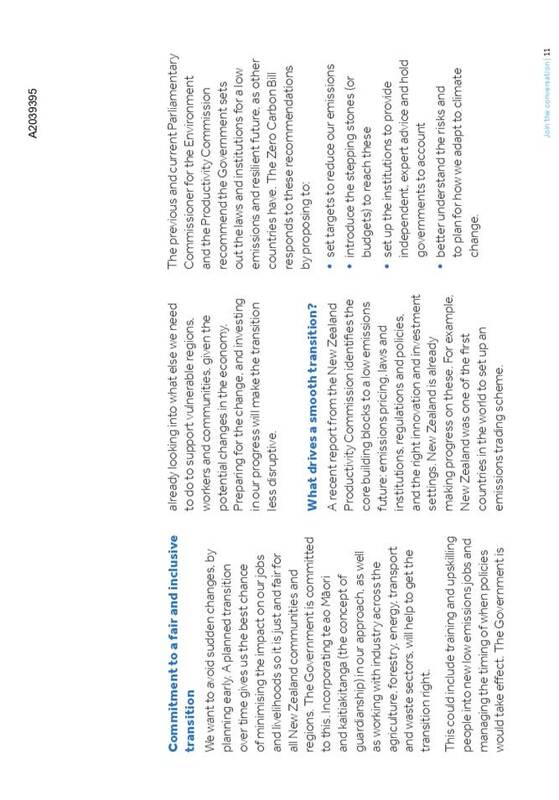 5.1 The options are to retrospectively approve, or to not approve. The submission may not now be amended, and once published it cannot be withdrawn. If the Committee declines to retrospectively approve the submission, officers will notify the Ministry for the Environment that the submission is not valid and ask for it to be excluded from consideration. 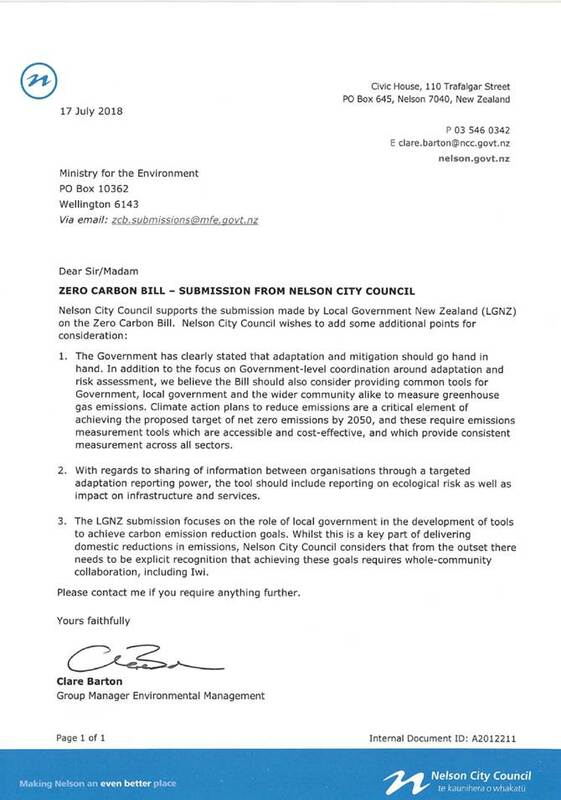 · Nelson City Council’s submission to the Bill will be valid and can be considered alongside the LGNZ submission. · The submission may not fully reflect the views of the Elected Members. · The risk of a submission that does not fully represent the views of the Elected Members is avoided. · The opportunity to endorse the LGNZ submission and add additional comment from Nelson City Council is lost. 6.1 Officers recommend that the attached submission be retrospectively approved. 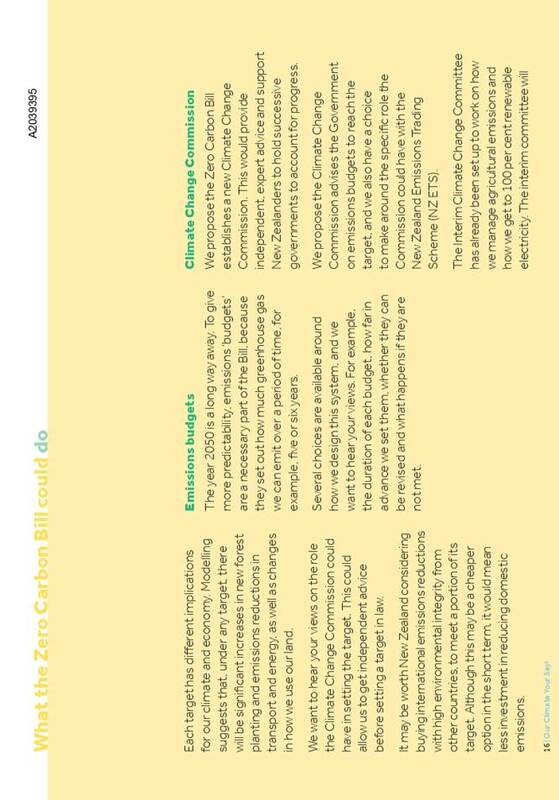 This report supports Council’s ability to influence legislation that will impact on its ability to deliver services to the community and meet the purpose of local government to “meet the current and future needs of communities for good quality local infrastructure, public services and performance of regulatory functions in a way that is most cost-effective for households and businesses”. 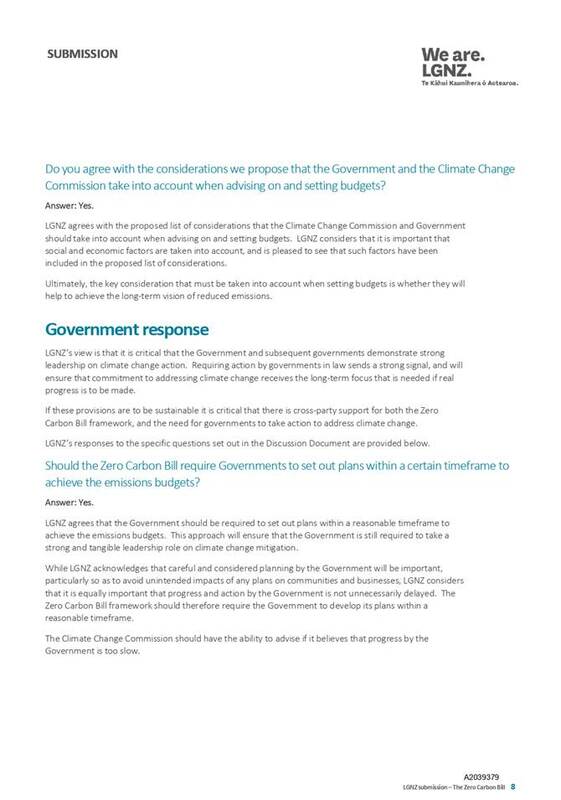 Retrospective approval of the Council’s submission on the Zero Carbon Bill includes some risk that the views of the Elected Members are not fully and accurately represented, because they did not have the opportunity to input into the content or wording of the submission. However the risk of adverse consequences or reputational harm is low because the submission is primarily endorsing the Local Government New Zealand submission, which was made on behalf of local government. The contents of this report do not result in any direct financial impact. This matter is of low significance and community engagement has not been undertaken. 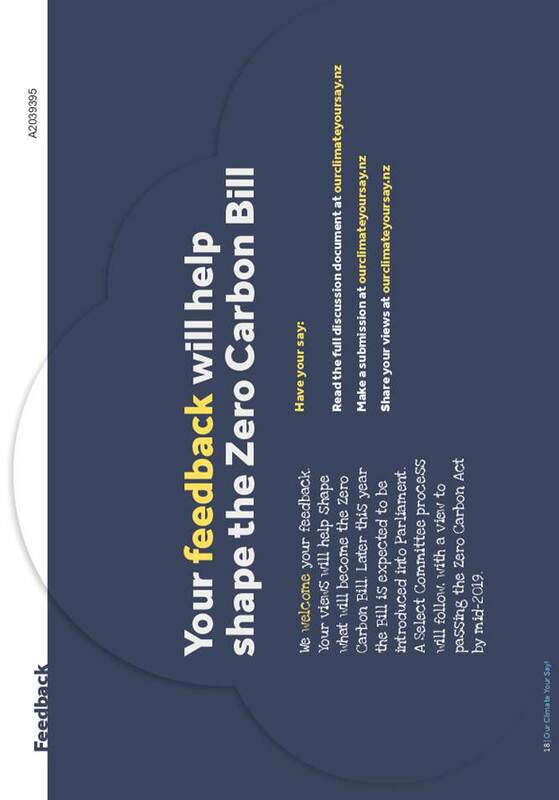 The community was invited and encouraged to make their own submissions to the Zero Carbon Bill to help ensure a wide range of views were represented. The Planning and Regulatory Committee has the following delegations to consider a Nelson City Council submission to the Zero Carbon Bill. 1.1 To provide an update on the progress of the Draft Nelson Plan and seek an amendment to the indicative timeline. 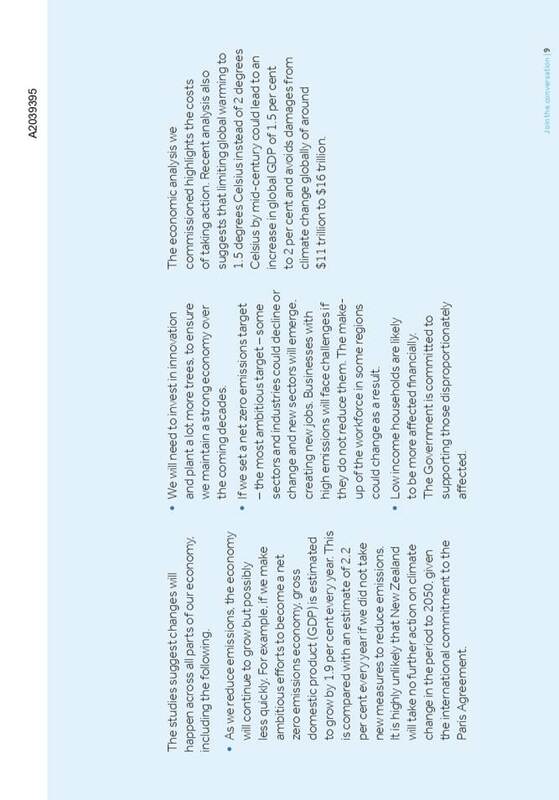 1.2 To confirm governance arrangements for the development of the Draft Nelson Plan. 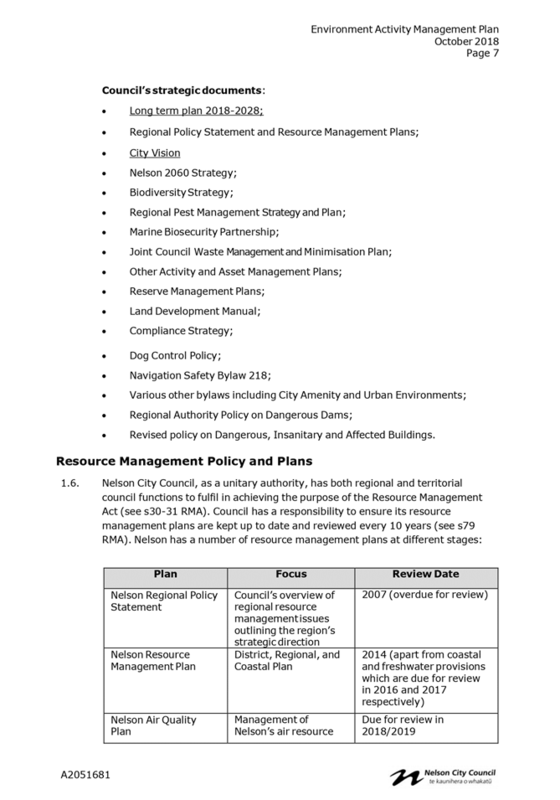 2.1 The release of the Draft Nelson Plan (Draft Plan) to Statutory Stakeholders and iwi partners is proposed to be delayed to ensure greater alignment across a range of matters, remove inconsistencies, and provide for further testing by Council officers, selected planning consultants, elected members, and legal peer reviewers. 2.2 This proposed change in approach has consequential impacts on engagement relating to water quality primary contact targets and natural hazards along with project governance and notification timelines. Overall though it is crucial to improve the quality of the Draft Plan before release and this will have the overall benefit in the longer term of reducing costs incurred throughout the statutory legal process. 4.1 An overview of the Draft Plan was presented to an Elected Member workshop on 29 May 2018. The Planning and Regulatory Committee (the Committee) then considered a high level overview of the Draft Plan and resolved to release the Draft Plan for statutory stakeholder and iwi partner feedback at the 29 May 2018 meeting. This approval was conditional on any minor changes arising from the meeting being delegated to the Group Manager Environmental Management, Her Worship the Mayor Reese, and Councillor McGurk. · The need to reconsider the provision of additional wood burners in Airshed C following a peer review of technical work and in light of potential National Environmental Standard Air Quality Changes. 4.3 Officers reviewed the Draft Plan in light of recommended Committee changes. In discussion with Mayor Reese and Councillor McGurk it became evident there were alignment issues across a range of matters. A number of changes relating to open space, events, transport, and papakainga were discussed and it was acknowledged that changes are more than minor in nature. Therefore it is not appropriate that further changes be signed off without the approval of the Committee. Consequently, Officers are recommending further testing of the Draft Plan with internal stakeholders, some local planning professionals, DLA Piper, and elected members ahead of bringing a revised draft Plan back to the Committee. 4.4 There has always been an over-riding drive to achieve a high quality Plan. The changes that have been identified and further changes that might arise as a result of the testing are necessary to ensure a quality product. The desire of achieving notification of the Plan prior to October 2019 has the potential to compromise quality. Altering the notification timeframe for the Plan will allow a focus on quality. It has the added benefit of improving alignment with planned national policy changes such as climate change, air quality, and national planning standards. 4.5 Officers are now in the process of developing a range of development scenarios to test the Plan and are engaging with internal stakeholders and local planning professionals. 4.6 The Committee also approved a revised Nelson Plan notification date at the meeting on 29 May 2018 of July 2019. 4.7 On further interrogation and consideration officers consider a need for new and more rigorous testing is required before the release of the draft plan. 4.8 The May 2018 report highlighted that “any delays in releasing the Draft Nelson Plan will significantly compromise the notification date of July 2019”. The report also highlighted a number of pinch points around summarising feedback from statutory stakeholders and iwi and, later, the wider public. 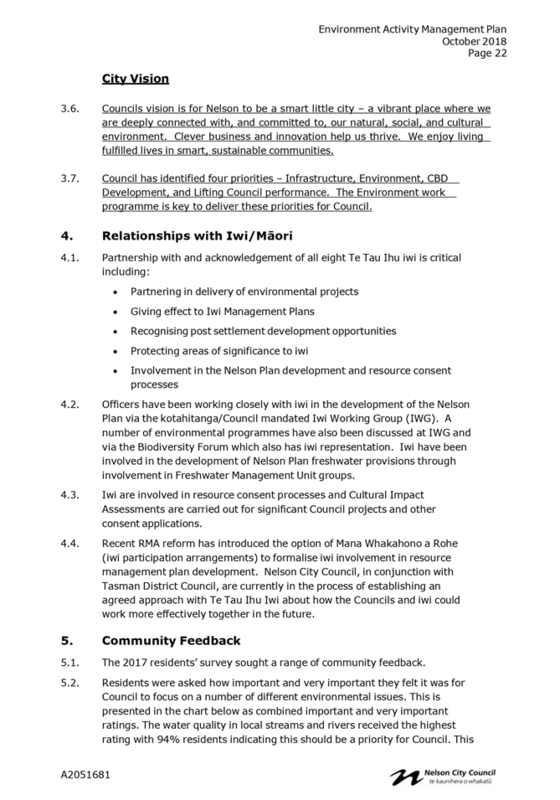 5.1 As noted, the Committee delegated authority to the Group Manager Environmental Management, Mayor Reese, and Councillor McGurk to authorise minor changes to the Draft Plan ahead of seeking feedback from statutory stakeholders and iwi partners. Given the scale of matters identified the Mayor and Councillor McGurk formed the view that the consequential changes are not of a minor nature. The Group Manager Environmental Management agreed with that view. 5.2 Given the scale of the Nelson Plan (approximately 290,000 words) it is difficult to cover the whole Plan with the whole of Council. This is why the May 2018 Workshop focussed on growth, hazards, freshwater, and air quality and included a comprehensive summary of previous workshops relating to Draft Regional Policy Statement and wider Nelson Plan content. It is important to ensure that adequate time is provided to allow more complete input from elected members. Feedback from staff and local professionals is that testing scenarios is a good way to get an understanding of the differences between the Nelson Resource Management Plan and the Nelson Plan and to identify any critical gaps in the Nelson Plan. 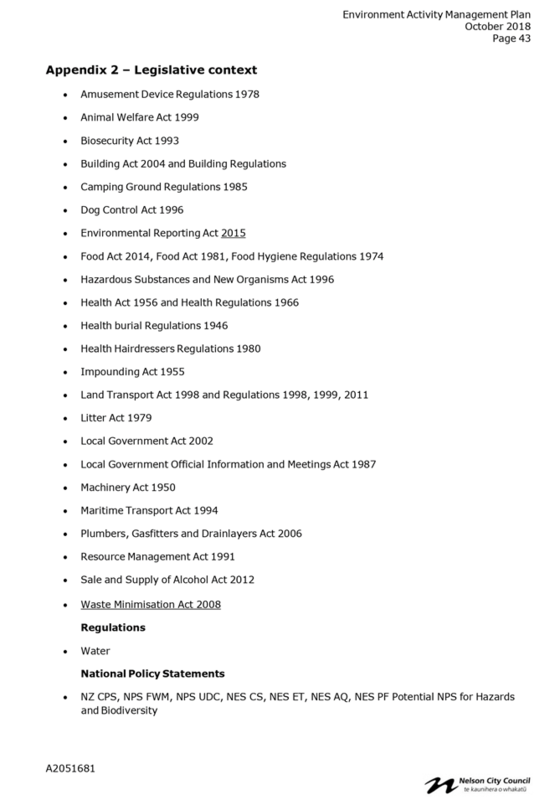 5.3 There are a number of options for improving elected member understanding of Nelson Plan content ranging from elected member Working Groups to full Council workshops. These options are considered in the options analysis below. 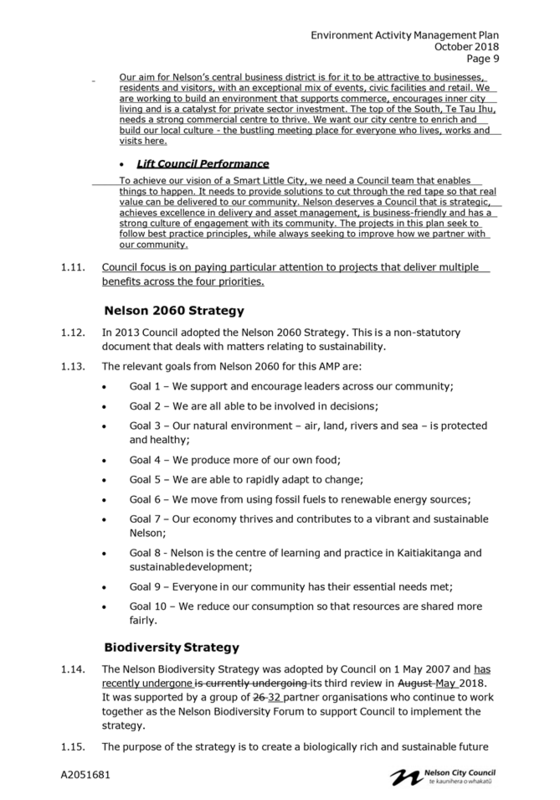 5.4 The approach to Nelson Plan Governance will have a direct impact on the Nelson Plan timeline. 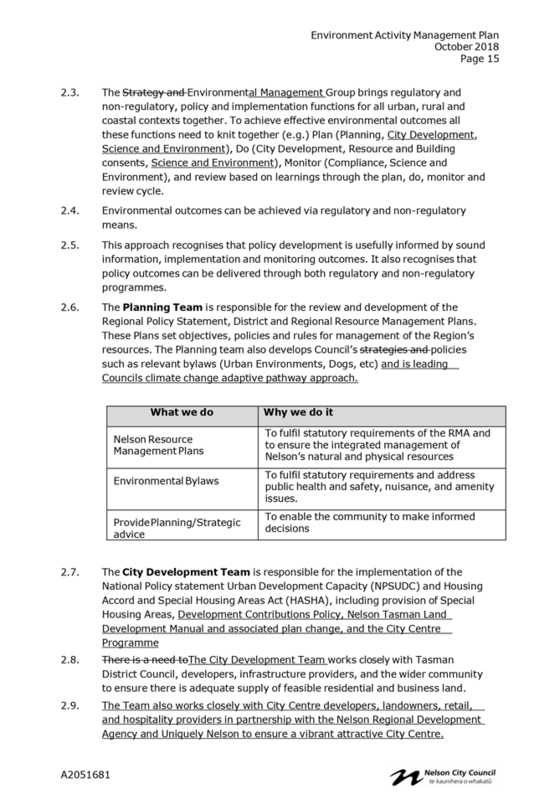 5.5 In order to keep the Draft Plan moving Council officers are currently engaging with Council teams and some local planning professionals to test the Plan ahead of release to statutory stakeholders and iwi. 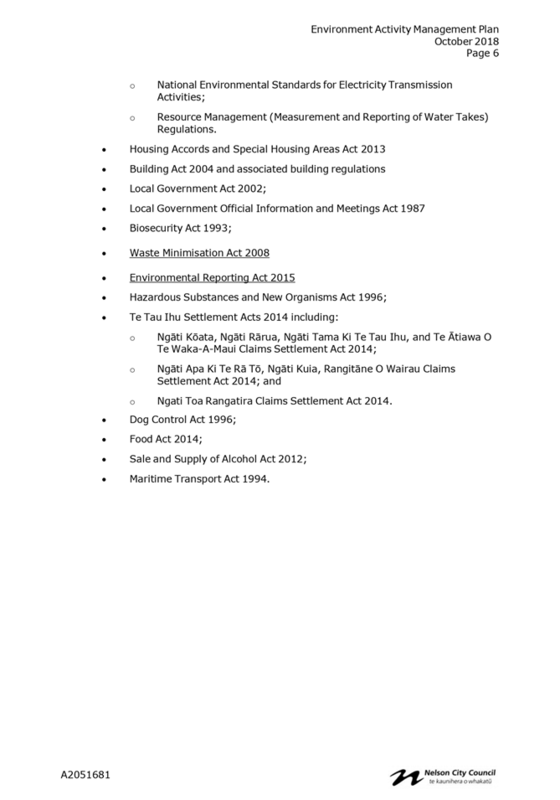 5.6 Schedule 1 Clause 4A of the Resource Management Act 1991 requires that a copy of the Draft Plan must be made available to iwi authorities, Council has particular regard to iwi advice, and sufficient time is given to iwi to provide advice. Iwi have indicated that they need three months to provide feedback on the Draft Plan. 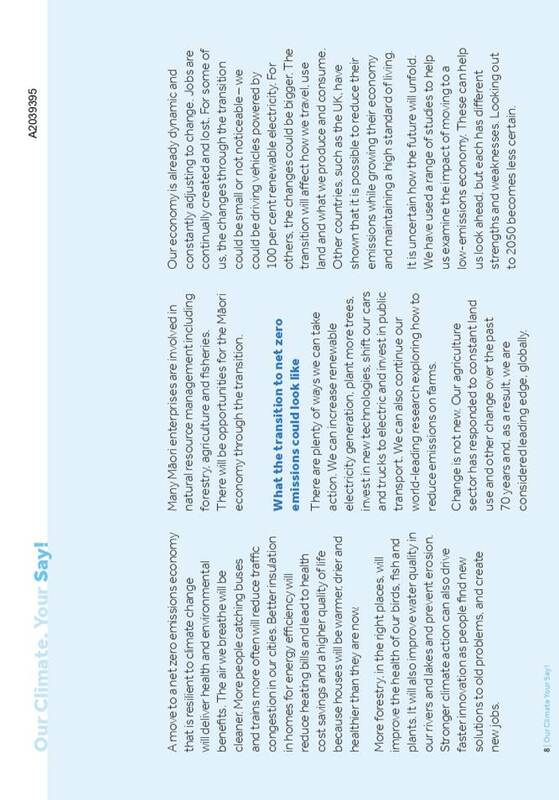 There is no requirement to provide a Draft Plan to statutory stakeholders ahead of the wider public. 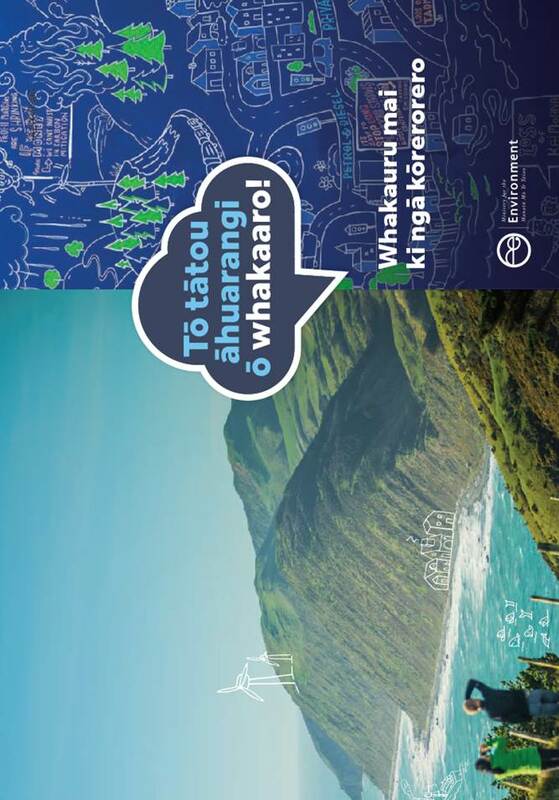 5.7 Consequently, officers have also met with the Iwi Working Group (IWG) and cultural reviewers (James Whetu and Tracy Kingi) to understand which scenarios iwi would like officers to test in the short term. The IWG has indicated that the following matters should be considered in scenario testing: management of coastal disturbance and occupation, wastewater and freshwater, ecological impacts, and provision for papakainga, marae, and cultural practice and values. 5.8 As outlined in the May 2018 Committee report some “special areas” are not yet drafted as consultation is ongoing with stakeholders such as the Airport, the Port, the Hospital, quarries, Cawthron, and future urban area landowners. 5.9 Additional technical work has also been undertaken relating to coastal erosion/inundation and slope stability. This work had been decoupled from the Nelson Plan given the need for significant landowner engagement on these matters. This work may be able to catch up with the Nelson Plan if the timeframe is revised. 5.10 Landowners affected by potential flooding, liquefaction, and fault hazards will need to be advised by letter of any delays in the release of the Nelson Plan given that the review of LIM statements is tied to Nelson Plan notification. 5.11 The extent of engagement has a direct impact on the Nelson Plan timeline as outlined in section 5.18. 5.12 The Planning and Regulatory Committee considered a report on Draft Water Quality Primary Contact Targets at the 5 April 2018 meeting. The Committee authorised officers to consult on water quality targets as part of stakeholder engagement on the Nelson Plan. The Committee also requested that a report be brought back to the Planning and Regulatory Committee to finalise water quality targets so that the public and Minister for the Environment can be advised by 31 December 2018 in accordance with the National Policy Statement Freshwater Management requirements. 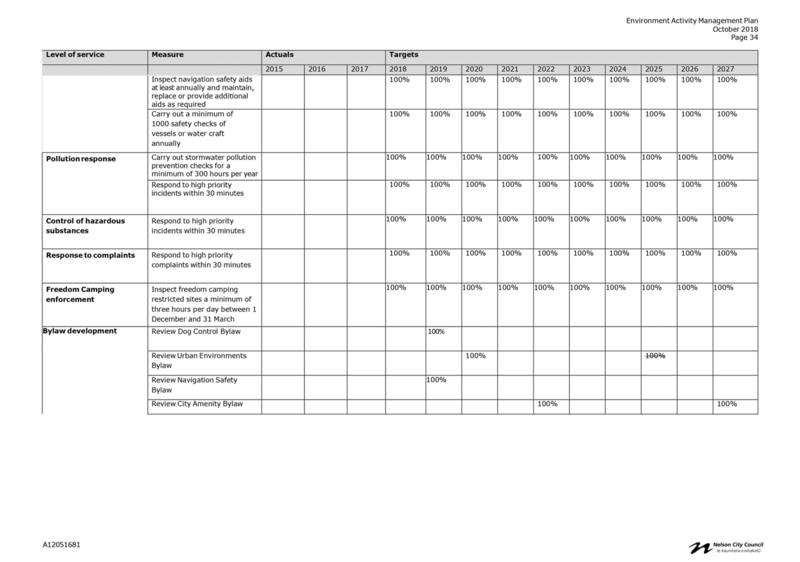 5.13 The timeframes for engagement outlined above were contingent on officers commencing statutory stakeholder and iwi engagement in July 2018. The Nelson Plan engagement with iwi and statutory stakeholders has not commenced. Given the delays in wider Nelson Plan engagement, bespoke engagement on Water Quality Primary Contact Targets has commenced. 5.14 Draft water quality primary contact targets for E-coli in Nelson’s fourth order rivers (Whangamoa, Wakapuaka, Maitai and upper reaches of the Roding) were set at 100% on the basis that this is largely being achieved now and programmes approved as part of the 2018-2028 Long Term Plan would enable these standards to be maintained. 5.15 Given that there is little change needed to Ecoli levels in Nelson’s fourth order rivers to meet draft targets, engagement has been targeted to the IWG and Freshwater Management Unit (FMU) groups over September and October so that this can inform Committee reporting in November 2018. 5.16 The timeline approved at the 29 May 2018 Committee meeting involved engaging with statutory stakeholders and iwi partners from June to September 2018 and the public from December 2018 to March 2019, and publically notifying the Nelson Plan in July 2019. 5.17 This timeframe is no longer achievable given that the release of the Draft Nelson Plan to Statutory Stakeholders and iwi partners is proposed to be delayed until after additional testing is undertaken. · March 2021 onwards – Undertake submission, hearing, and appeal process (contingency June 2021 onwards). 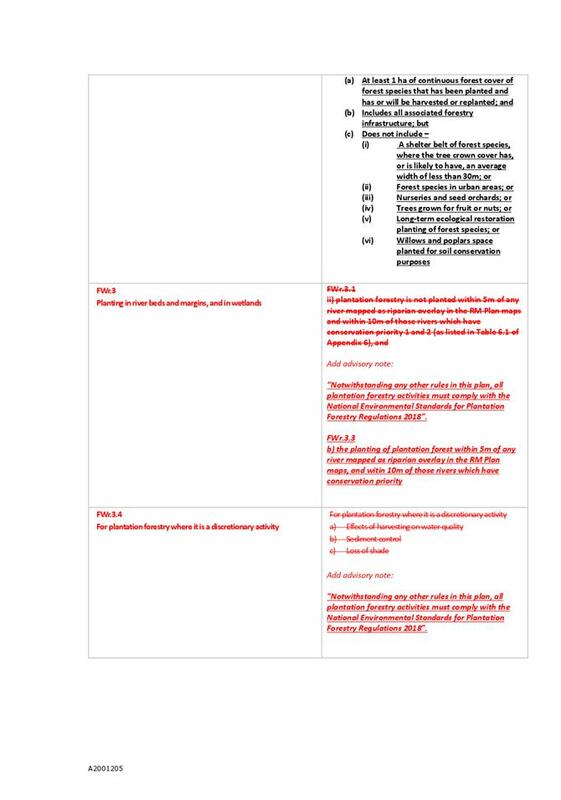 5.19 Timelines are dependent on the level of Governance input into the Plan before it is released for engagement and the time that is needed in assessing feedback (refer Paragraphs 6.5-6.11). Contingency has also been built into the timeline to cater for local body elections and to allow additional time where reporting/work periods fall over Christmas. 6.1 There are basically three broad options available to Council. Option 2 is the preferred option. 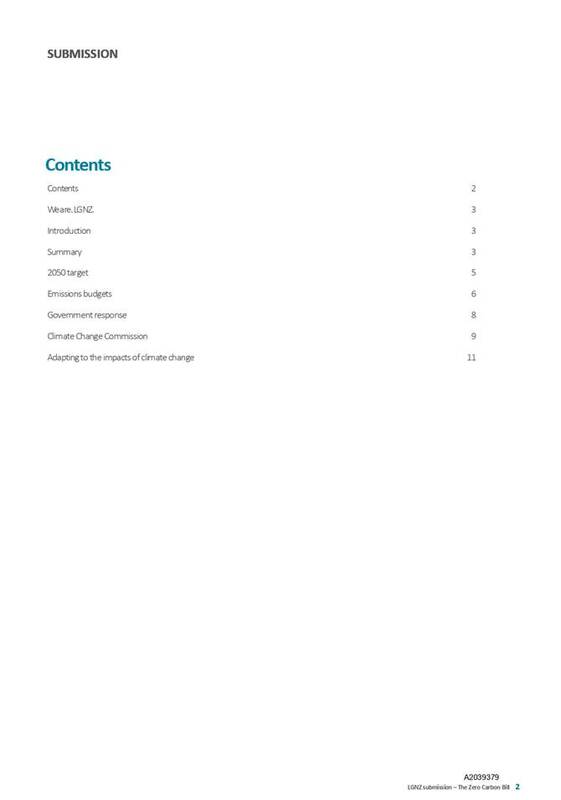 6.2 Option 1 is to release the Draft Nelson Plan to Statutory Stakeholders and Iwi in its current state (October to December 2018) ahead of the public (February - April 2019), resulting in an approximate notification date of September 2019(timeline similar to Option 3). 6.3 Option 2 is to undertake further testing of the Nelson Plan and release the Draft Plan to statutory stakeholders and iwi for three months from September 2019 to November 2019. This would mean a potential notification date of March 2021. 6.4 Option 3 would involve releasing the Draft Plan to iwi from October to December 2018 ahead of statutory stakeholders and the public over February – April 2019. This would result in an approximate notification date of September 2019. 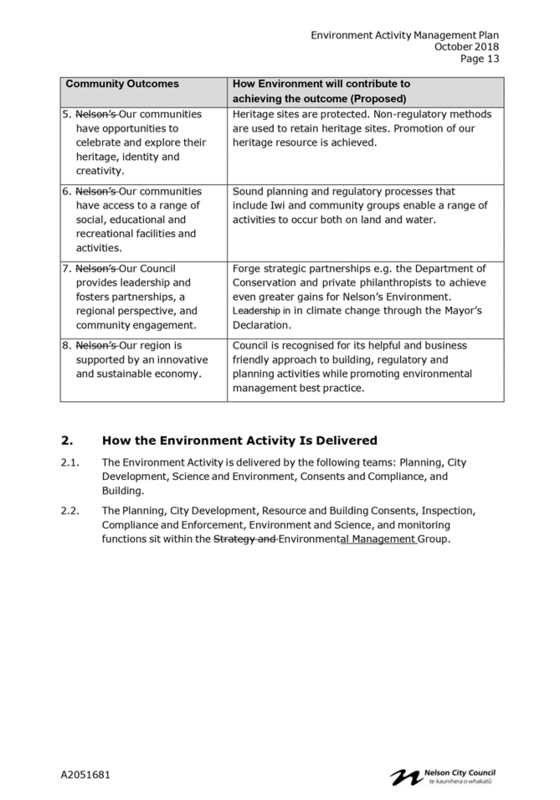 6.5 There are three broad options for Elected Member input into the draft phase of the Nelson Plan. Option 2 is the preferred option. 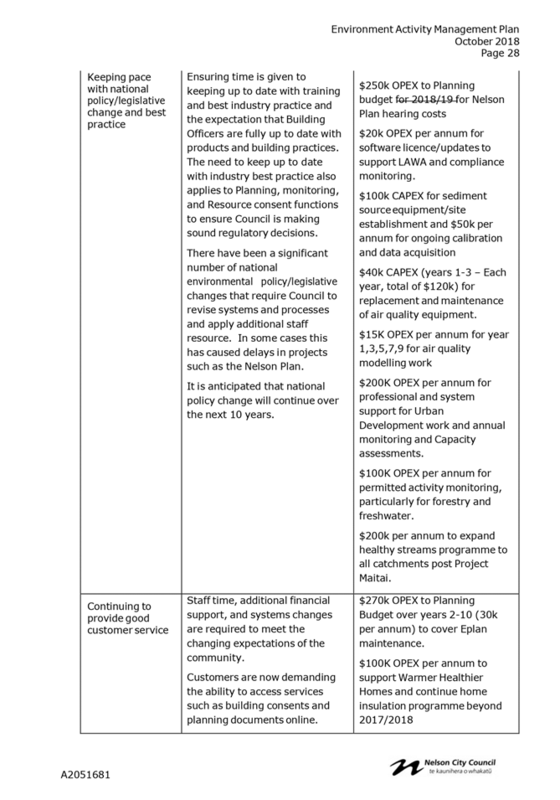 6.6 Option 1 is the status quo which has been to workshop the whole Plan with full Council and report to the Planning and Regulatory Committee at key milestones such as release of the Draft Plan for engagement and consideration of feedback. 6.7 Option 2 would be to delegate responsibility for review of the Plan to an Elected Member Working Group until the Draft Plan is released to the public and still report to the Planning and Regulatory Committee at key milestones. 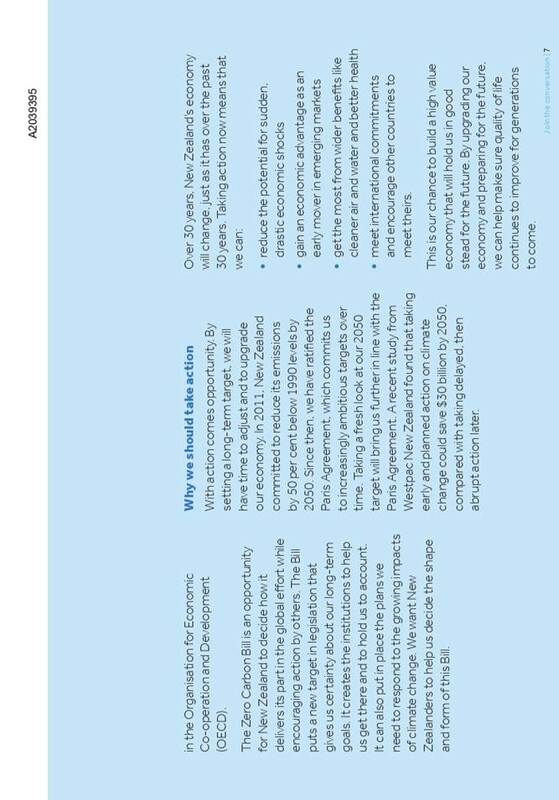 6.8 Option 3 would be to only report to the Planning and Regulatory Committee ahead of key milestones. 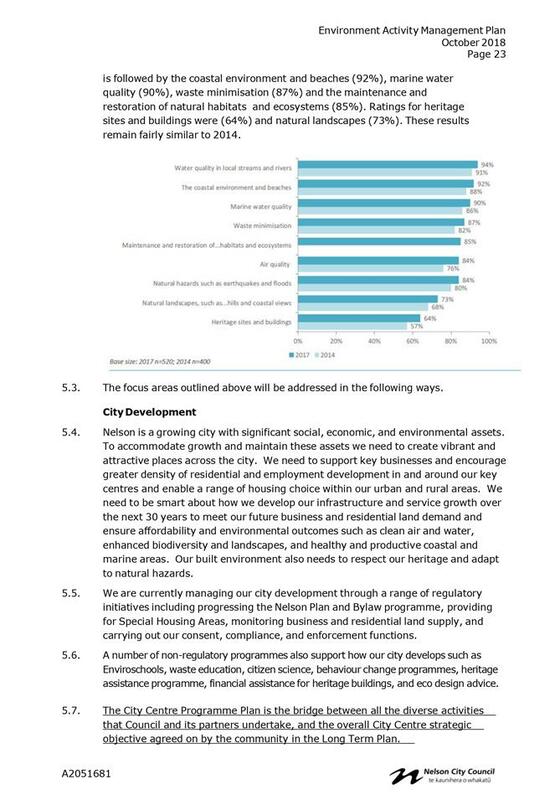 6.9 It should be noted that all these options would involve regular reporting to the Planning and Regulatory Committee via the quarterly report and briefings to the Mayor and Councillor McGurk as part of the agenda briefings for the Committee. · Committee signs off content in accordance with delegations. 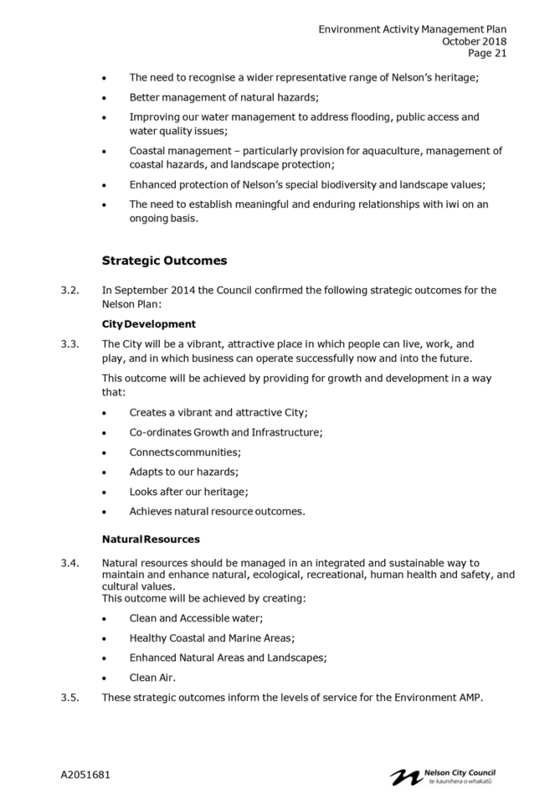 · It is difficult to go into any depth with full Council workshops on the whole Nelson Plan. 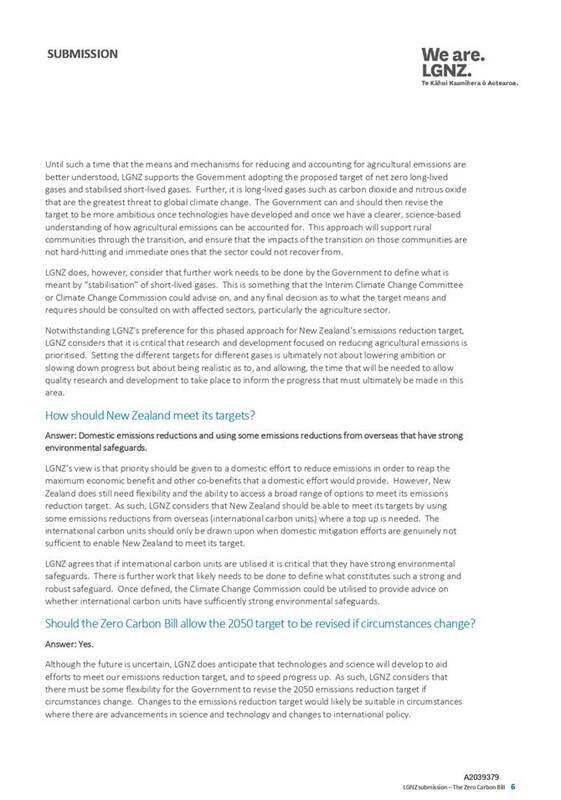 6.10 Given the drive for further testing of the Draft Nelson Plan ahead of release to statutory stakeholders and iwi to ensure a quality product it is considered that the best mix of timeline and governance options would be a mix of Option 2 (timeline) and Option 2 (governance). 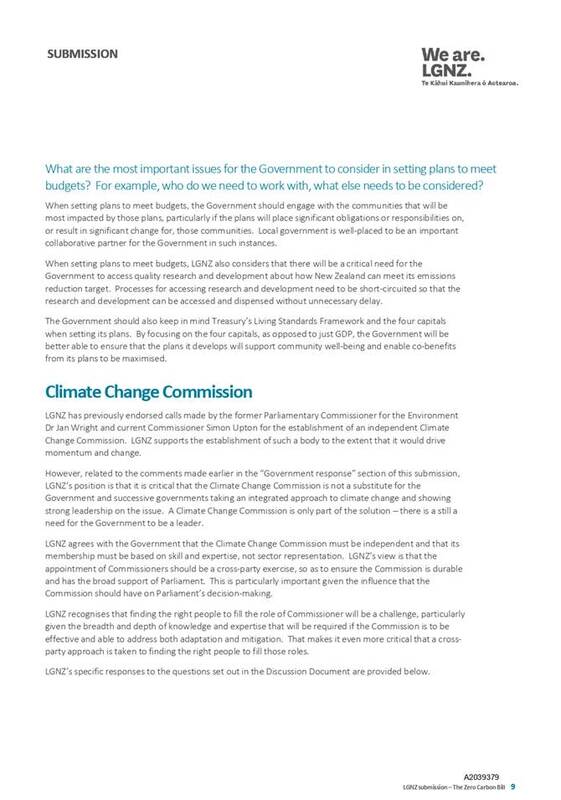 This would mean that key elected members would be able to be involved in the detail of the Draft Nelson Plan ahead of release to statutory stakeholders and iwi and that the Draft Nelson Plan would be robustly tested prior to being considered by the wider community. The Council could then make a decision about whether the Draft is released ahead of October 2019 or whether this decision should be made by the new Council. 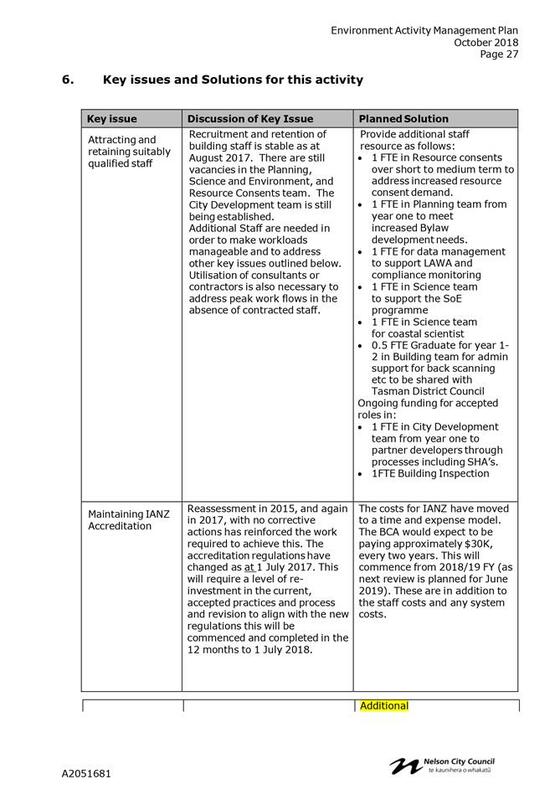 6.11 If Council is minded to progress the Draft Plan to notification within this term of Council, timeline option 1 or 3 should be pursued in conjunction with Option 2 Governance. However officers do not support either of these options given that releasing an untested Draft Plan may result in reputational damage, delays, and potential costs incurred throughout the statutory legal process. 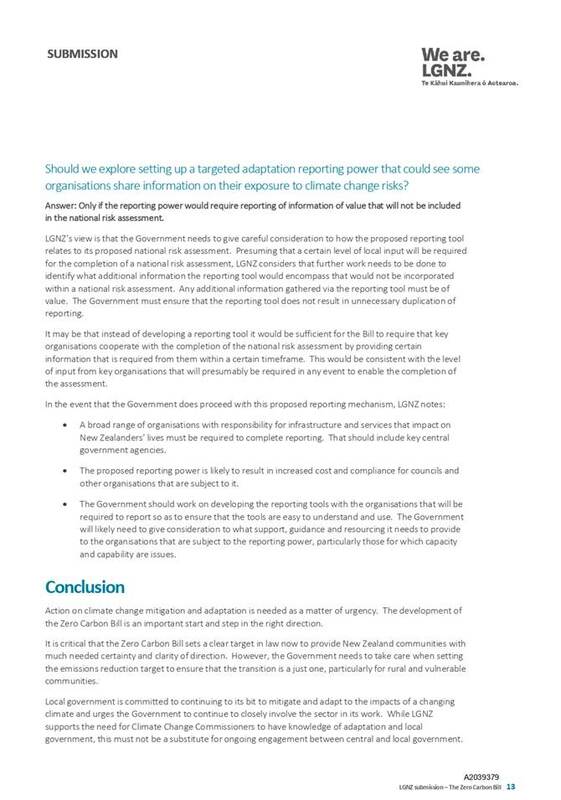 7.1 This report recommends altering the release of the Draft Plan for statutory stakeholder and iwi partner feedback to August 2019 to allow for additional testing. 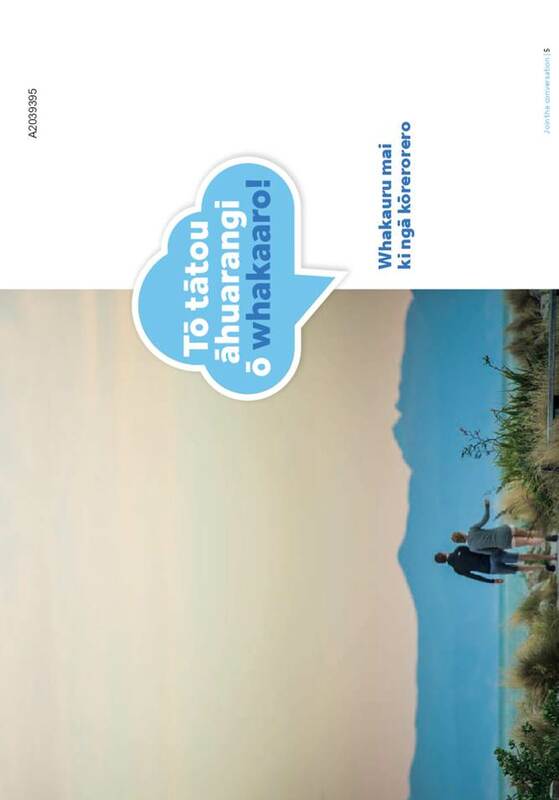 7.2 An Elected Member Working Group is recommended to review Draft Plan content ahead of reporting to the Planning and Regulatory Committee in August 2019 and before release to iwi and statutory stakeholders. 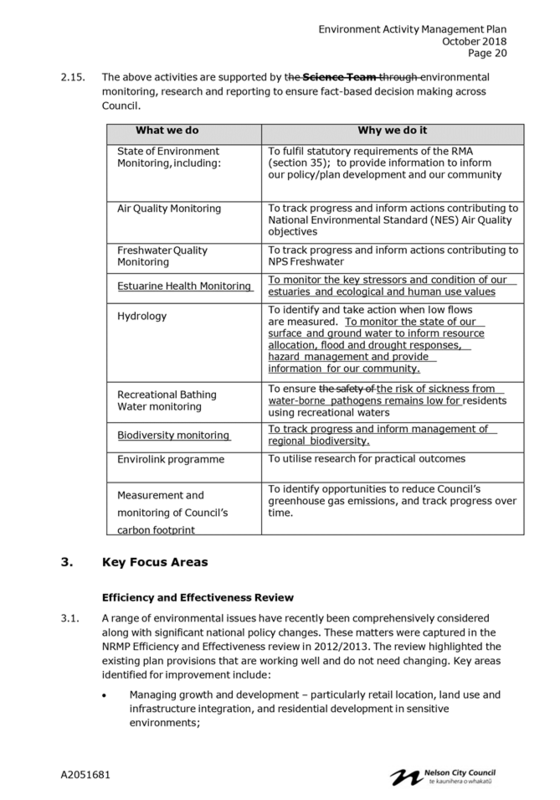 7.3 It is also noted that engagement on water quality primary contact targets is being undertaken ahead of wider Nelson Plan engagement so that the December 2018 reporting requirements of the National Policy Statement Freshwater Management can be met. The proposal will enable meaningful input into the Nelson Plan and is therefore the most efficient means of achieving the purpose of the Resource Management Act and Local Government Act. 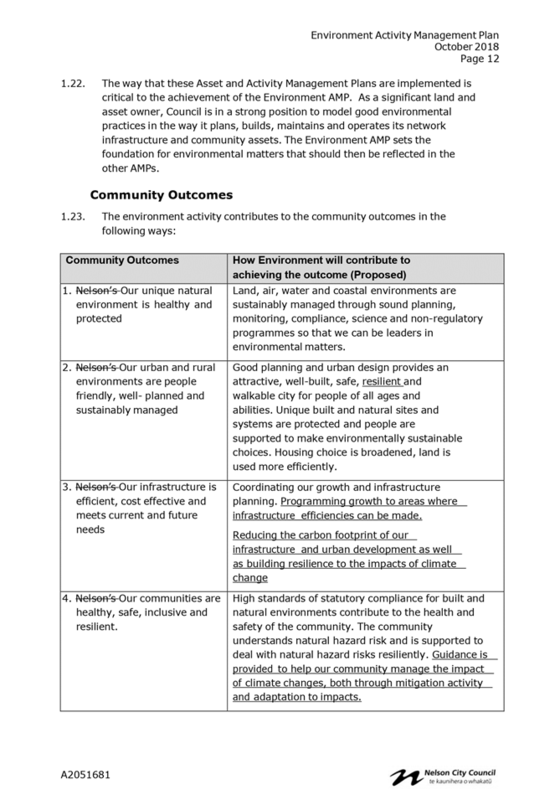 The Draft Nelson Plan aligns with Community Outcomes (1, 2, 3, 4, 5, 6, 7, and 8) and Nelson 2060 goals by appropriately managing the natural environment and development of heritage sites, setting relevant health measures such as air and water quality standards, co-ordinating land use and infrastructure planning, having well planned urban and rural environments, adapting to natural hazards, and involving the community, key stakeholders, and iwi partners in the development of the Plan. 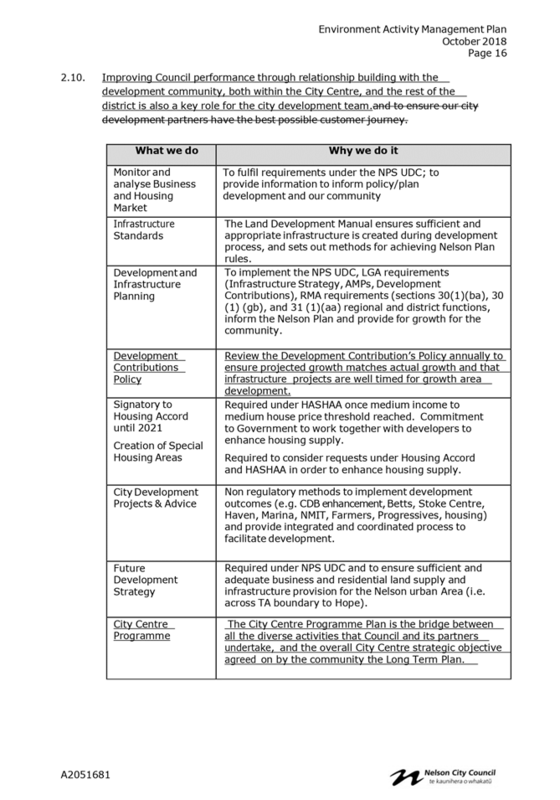 The Nelson Plan development process is consistent with that provided for within the Annual Plan and Draft 2018-2028 LTP. The Nelson Plan development has been undertaken with preliminary consultation with key stakeholders, iwi partners, and the community. A Planning peer review and preliminary consent testing has been carried out and a legal review and a cost benefit analysis is planned. Further feedback will be provided on the Draft Plan ahead of public notification. Officers have also worked closely with MfE to anticipate future national policy change. All of this will ensure a robust process and mitigate risk. The revised timelines identified in this report all carry a level of risk given that the release of the Draft Plan or notification will all fall close to the Local body election scheduled for the end of 2019. There is a risk that the project will be delayed as this Council may not want to bind the decision making of the future Council. The costs associated with Nelson Plan development are funded within the Annual Plan and the 2018-2028 LTP. This matter is of high significance because the Nelson Plan will impact on the majority of the community. Key stakeholders, iwi partners, and the wider community will have the opportunity to provide feedback on the Draft Nelson Plan ahead of the formal submission and hearing process. Members of Council’s Iwi Working Group have had input to the development of the Nelson Plan and will have three months to provide feedback on the Draft Nelson Plan as requested. The wider Maori community will have an opportunity to provide feedback following public release of the Draft Nelson Plan. The Planning and Regulatory Committee has the power to decide matters relating to resource management plans. 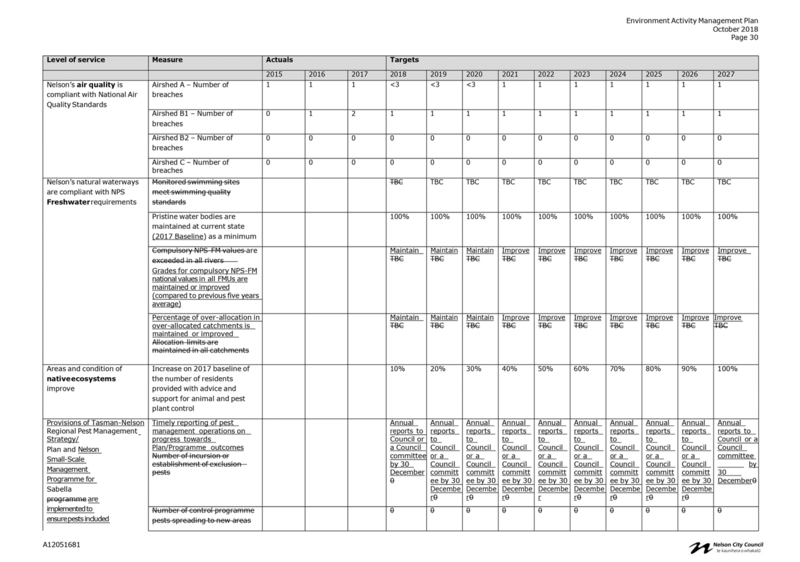 Note – Areas of responsibility include the Regional Policy Statement and District and Regional Plans (6.3.1). 1.1 To adopt the Environment Activity Management Plan 2018-28. 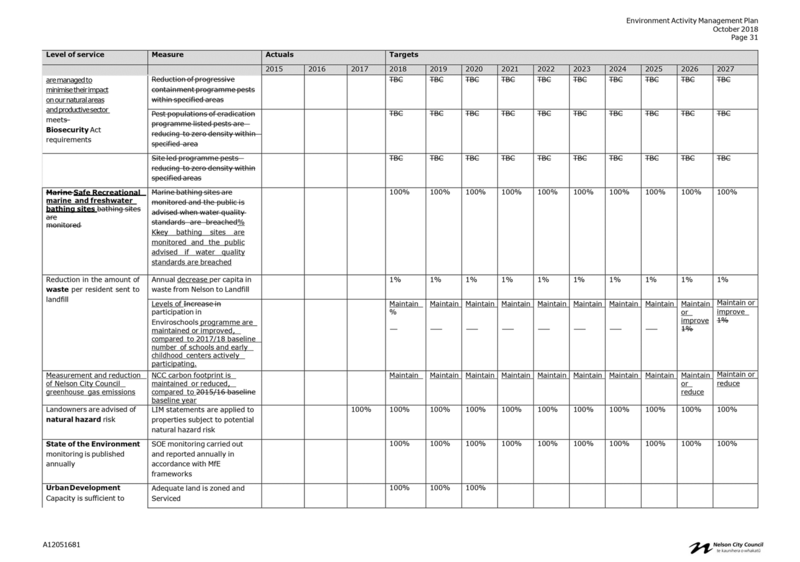 3.1 Activity Management Plans are prepared and approved by Council to inform development of the Long Term Plan (LTP). Following consultation on the LTP and subsequent decisions, Activity Management Plans have been updated. 3.2 One workshop was held with the Planning and Regulatory Committee (25 May 2017) to review levels of service, discuss issues, confirm priorities for 2018-28 and seek direction from the Committee. 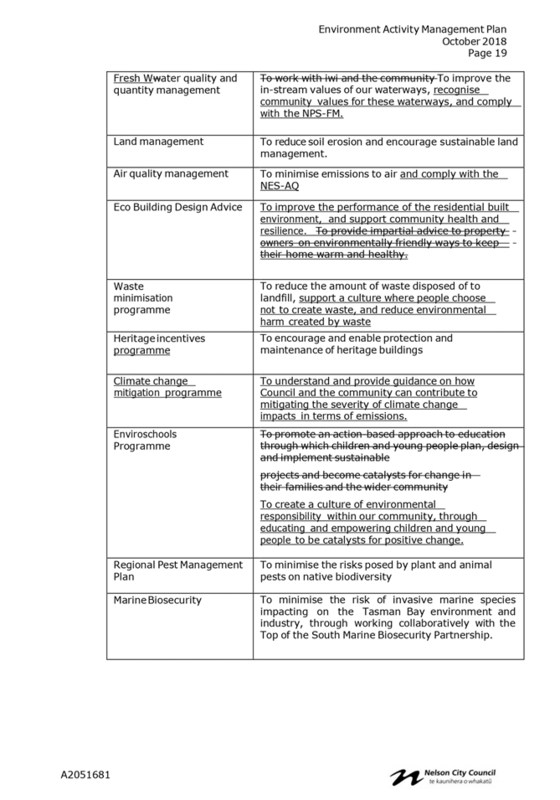 A draft Environment Activity Management Plan was subsequently adopted by the Planning and Regulatory Committee on 3 October 2017. 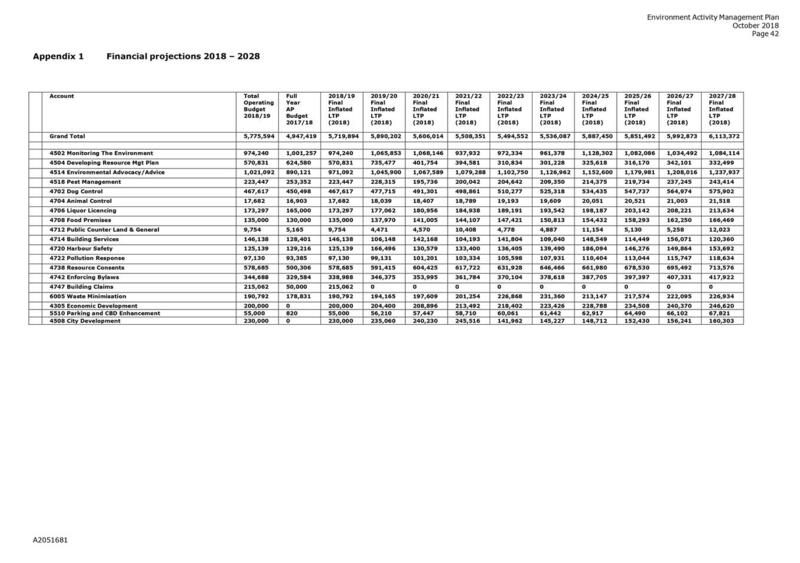 · The activity budgets for operations and capital expenditure. 4.2 The Council considered submissions to the environmental section of the LTP at the deliberations meeting on 15 May 2018. No significant changes were made to the environment section of the LTP as a result. 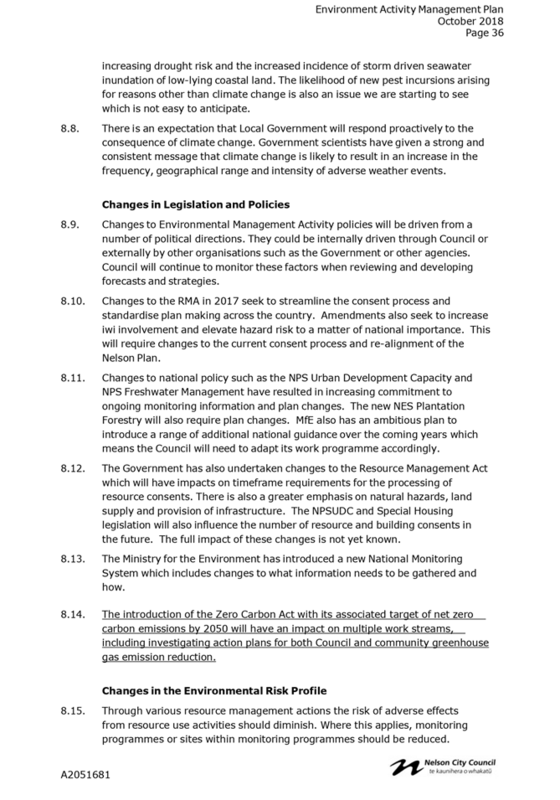 4.3 Additional guidance was sought on how Council intends to respond to climate change. Officers confirmed that Council is currently researching carbon emissions measurement and reduction programmes for Council business and activities, and considering actions to support the community to adapt and respond to the effects of climate change. 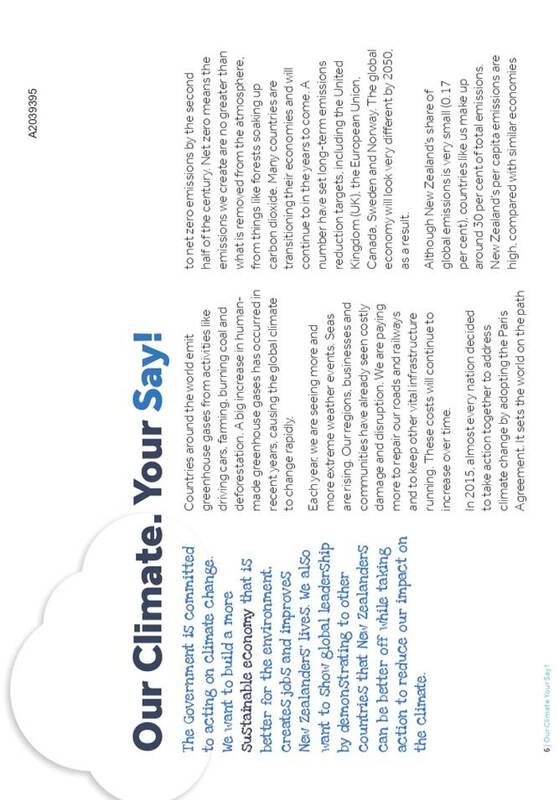 The baseline information will enable well informed and targeted emission reduction outcomes to be set by Council and for actions that will make a difference to be undertaken. 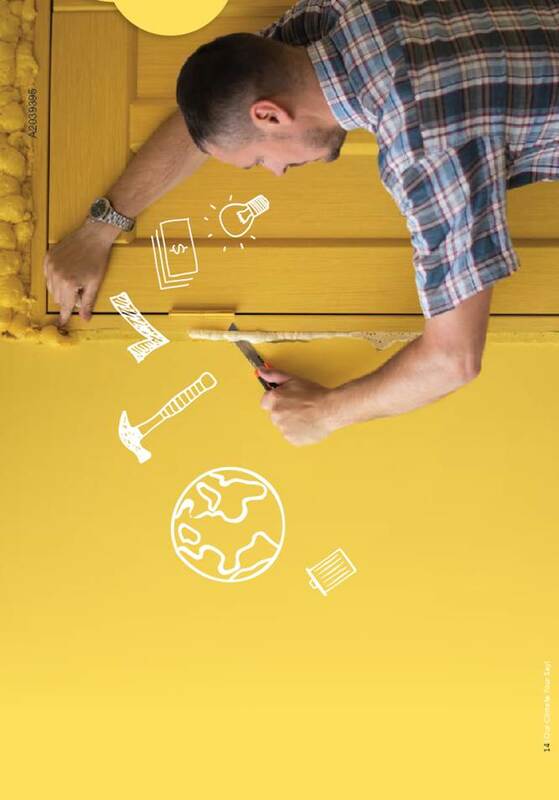 No additional budget was requested to undertake this work. 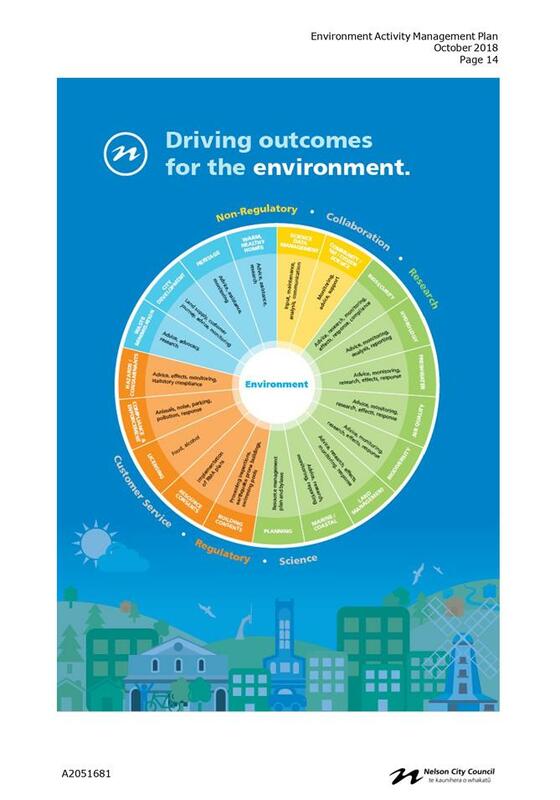 · Included additional areas of focus for climate change, waste minimisation, and air quality to reflect changes in national guidance and Council policy. 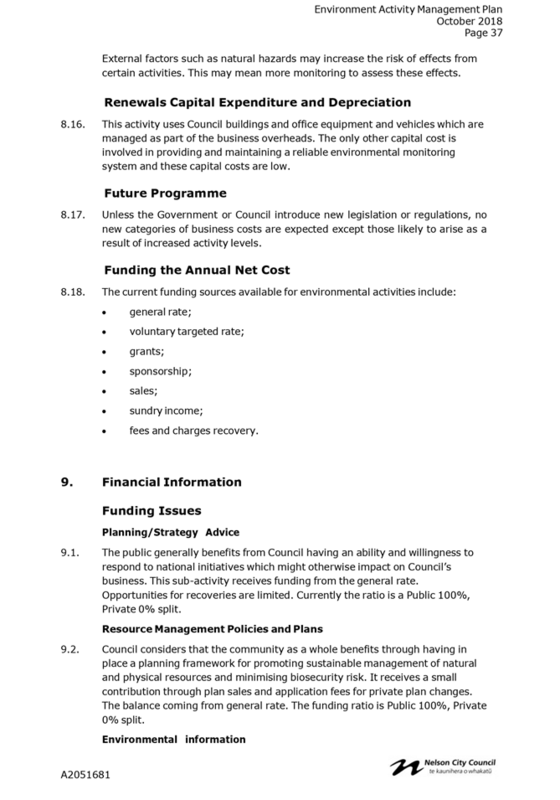 · Included Council’s Vision and Priorities from the LTP (Section 1). · Made amendments to “How the Environment Activity is Delivered” (Section 2) and “Levels of Service” (Section 6) to align with the National Policy Statement Freshwater Management, national climate change guidance, Tasman Nelson Pest Management Strategy and Biodiversity Strategy reviews, made changes to the Nelson Plan timeframe, and made changes to the City Development work programme to include the Development Contributions reviews and the City Centre programme. · Made amendments to the Financial Projections (Appendix 1) to align with the final LTP budget and the additional work taken on by the City Development team. 4.5 These changes have been highlighted in the attached AMP (highlights will be removed prior to publishing). 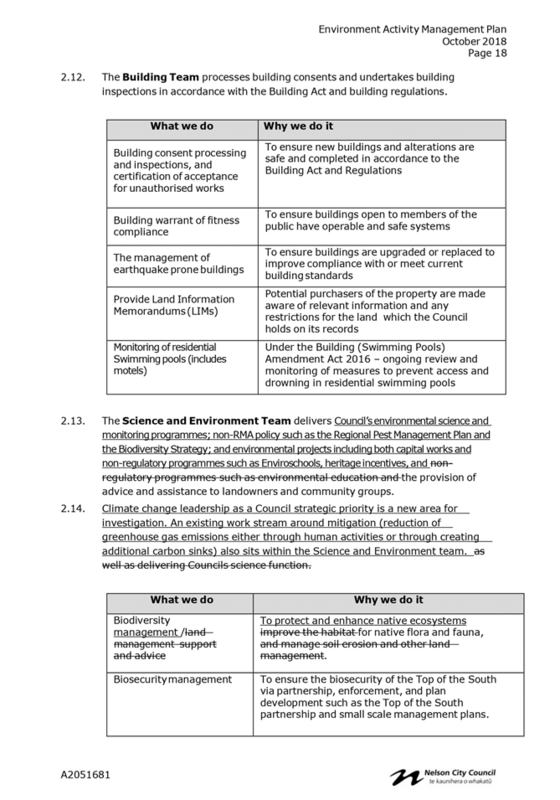 5.1 The Environment Activity Management Plan (AMP) brings the Building, City Development, Regulatory (Resource Consents, Compliance, and Enforcement), Planning and Science & Environment activities together. 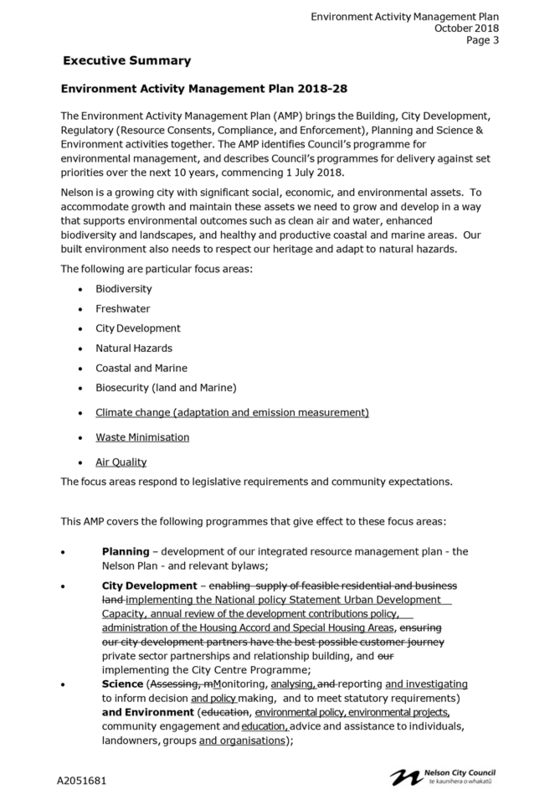 The AMP identifies Council’s programme for environmental management, and describes Council’s programmes for delivery against set priorities over the next 10 years, commencing 1 July 2018. 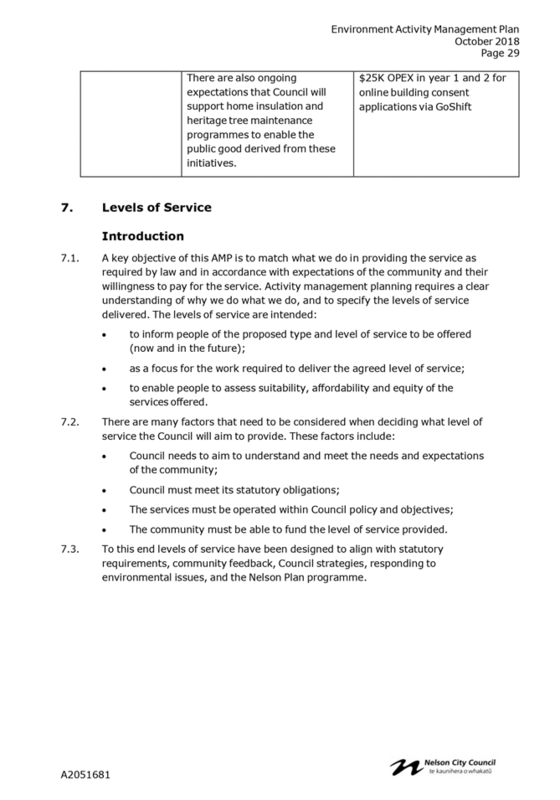 5.2 The AMP establishes levels of service, discusses focus areas for activities and sets activity budgets for operations and capital expenditure. 5.3 The AMP is prepared to inform development of the LTP. 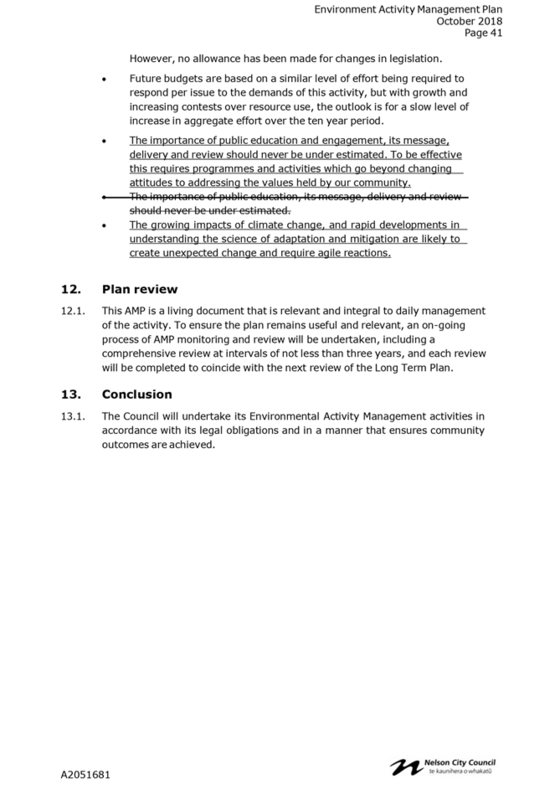 The Activity Management Plan has been amended to reflect decisions on the LTP. 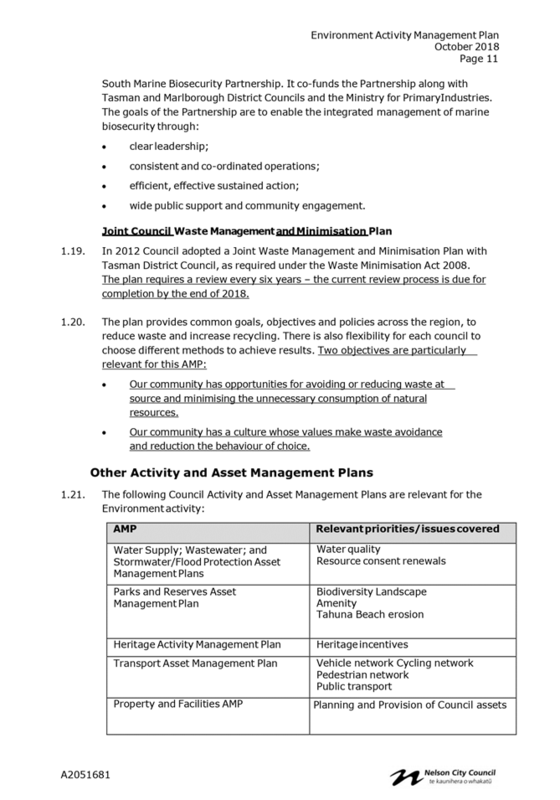 Activity Management Plans set out the background to Council’s Environment programme and associated activities, and will support Council in meeting its obligations under section 93 and Schedule 10 of the Local Government Act 2002. 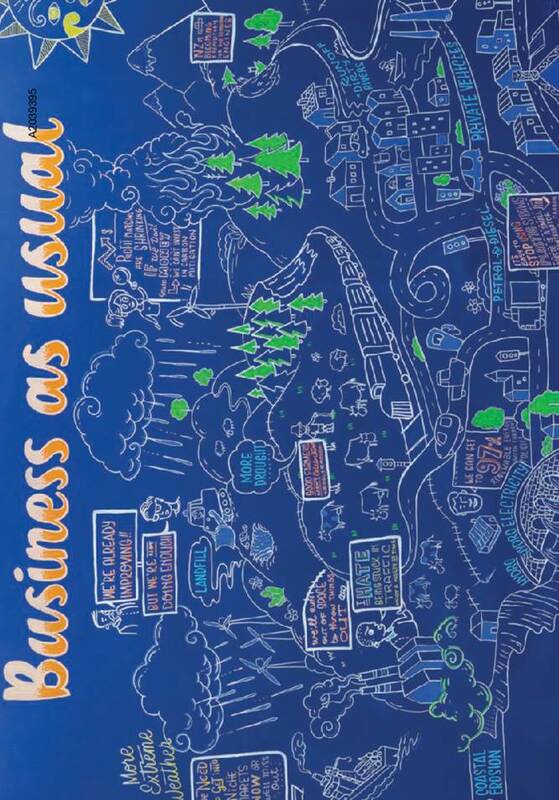 The Activity Management Plan has been developed to support the delivery of Council’s Community Outcomes. The document has also assisted Council in developing the LTP. Not adopting the Activity Management Plan will leave Council without a document to support the goal of developing and adopting the LTP. Adopting the AMP helps Council mitigate risks by providing a clear plan to establish levels of service, address relevant focus areas and set activity budgets for operations and capital expenditure. There are no direct funding implications from the recommendation. Funding included in the Plan has been set out in the proposed LTP and was subject to a consultation process with the community. Adoption of the final Activity Management Plan is of low significance. The draft document, which was approved by Council in October 2017, is of more importance and accordingly the public were provided with the opportunity to have input into the content of the Plan through the Long Term Plan consultation process. The development and approval of the Activity Management Plan is part of the Long Term Plan process. 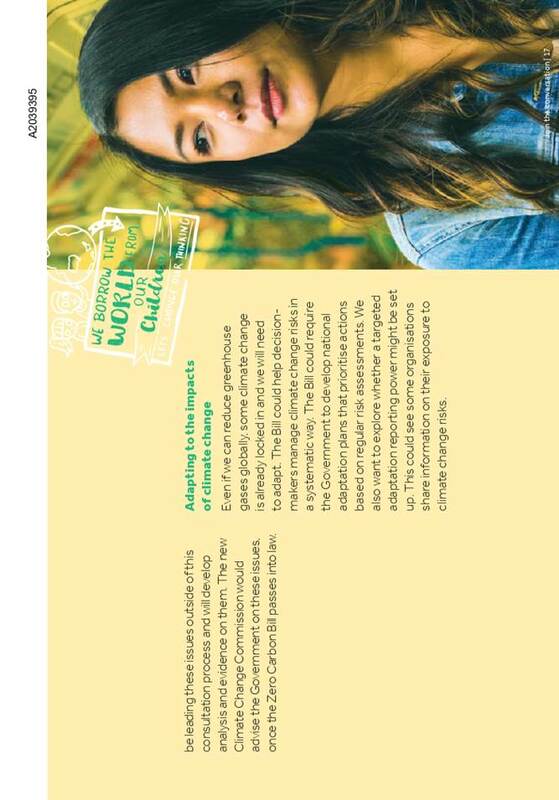 This included consultation with Māori during the development of, and the formal submission process, for the Consultation Document. A hui for iwi was held on 20 October 2017 and there was subsequent sharing of further information. 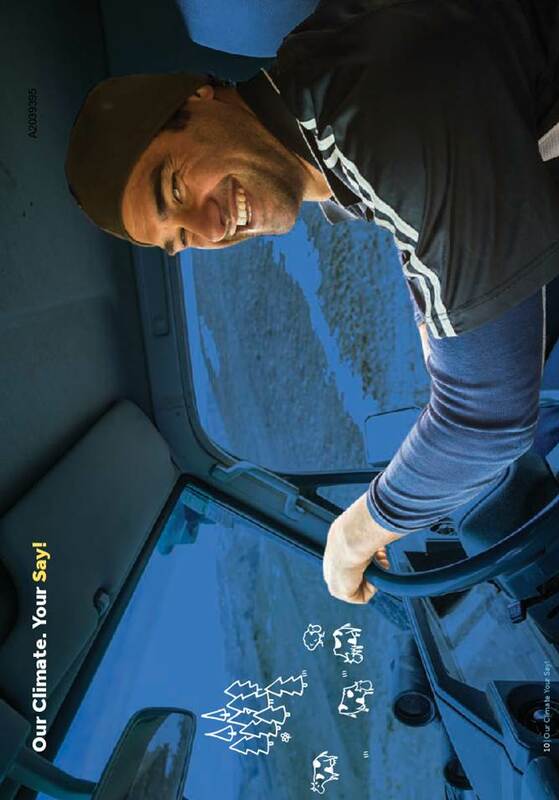 · Activity Management Plans falling within the areas of responsibility. 1.1 To consider the additional proposed amendments to the Nelson Resource Management Plan to implement the National Environmental Standard – Plantation Forestry. Approves the additional proposed amendments to the Nelson Resource Management Plan to implement the National Environmental Standard – Plantation Forestry. 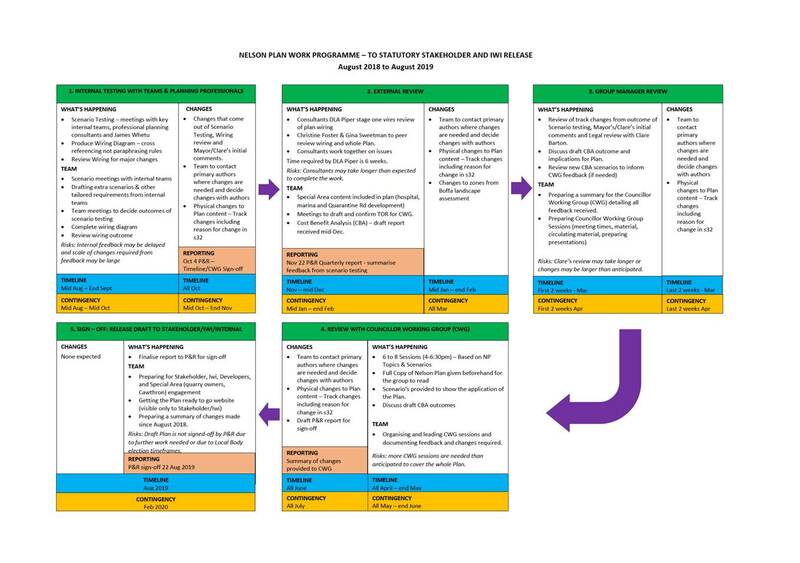 3.2 The Ministry for Primary Industries (MPI) published ‘Plan Alignment Guidance’ in May 2018. 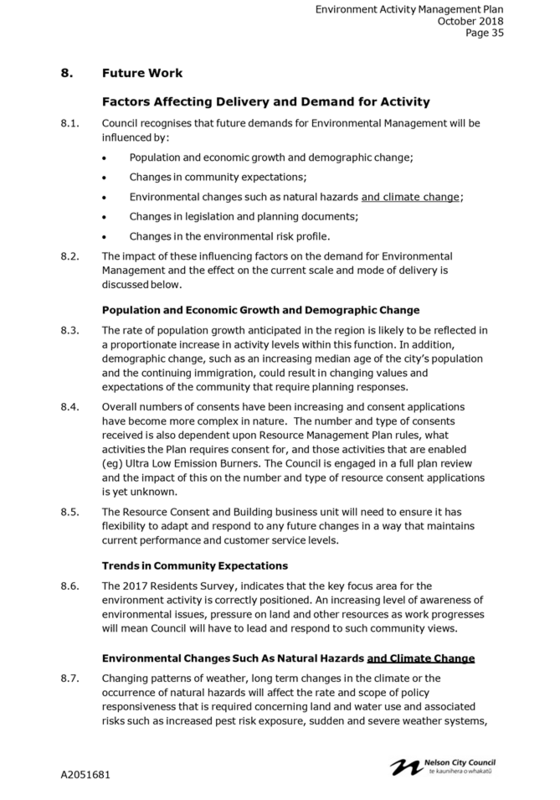 This guidance was published after the list of amendments to the NRMP were approved by Council. 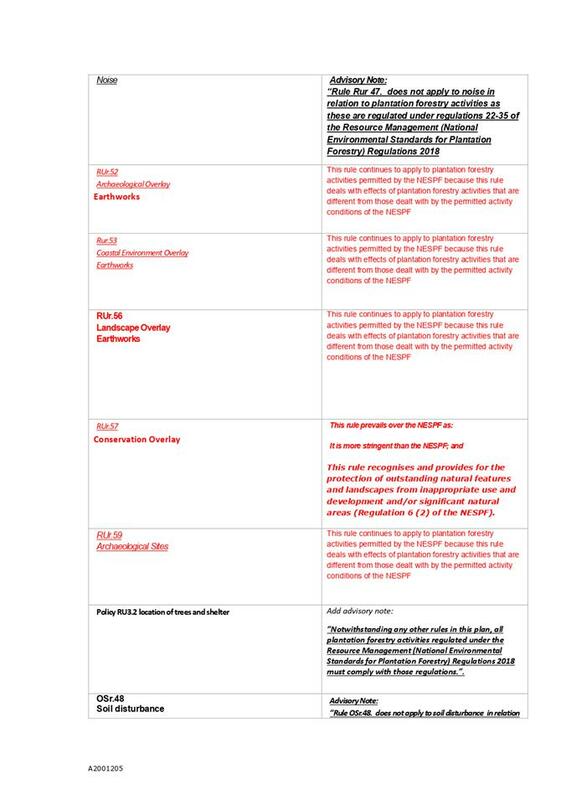 3.4 The amendments approved by Council have not yet been made to the NRMP as officers have been considering the implications of the ‘Plan Alignment Guidance’. 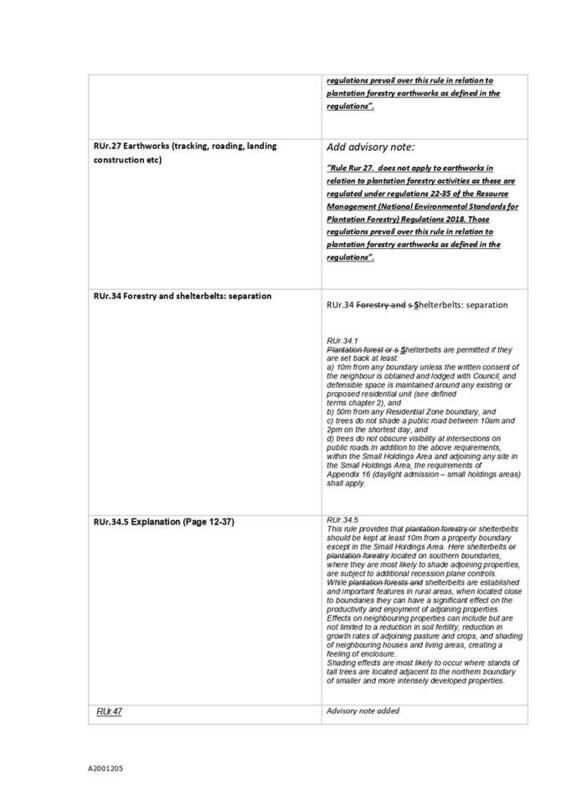 As a consequence of that further assessment, this report includes revised amendments to Committee. · Provided suggested wording for advisory notes and how and when to use advisory notes. 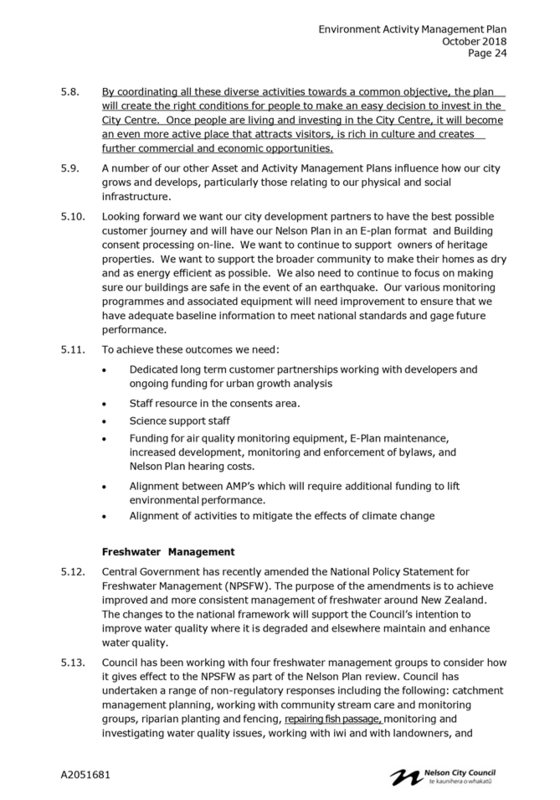 4.2 As a result of the ‘Plan Alignment Guidance’, an additional 10 advisory notes are proposed to the NRMP and changes to two existing advisory notes previously approved by Council. 4.7 This advisory note alerts the plan user where the NRMP provides for the activities and effects not anticipated in the NESPF. 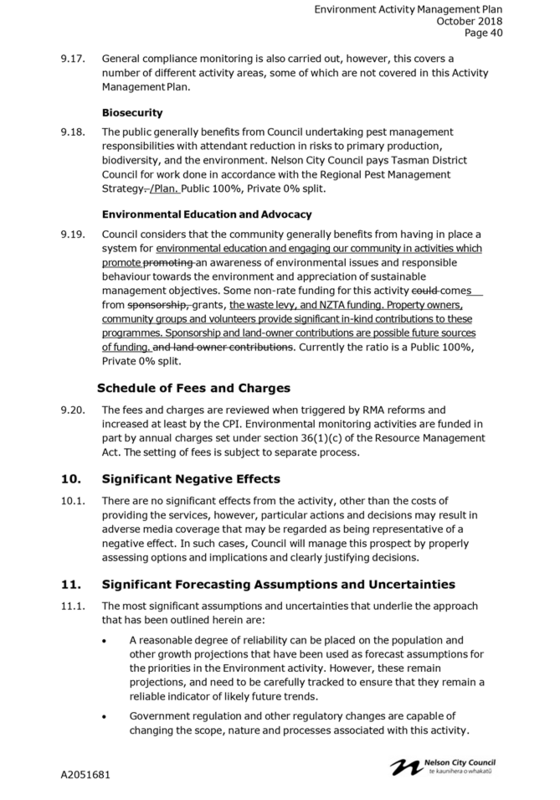 4.8 A full list of changes previously approved by Council and the proposed changes are contained in Attachment 1. 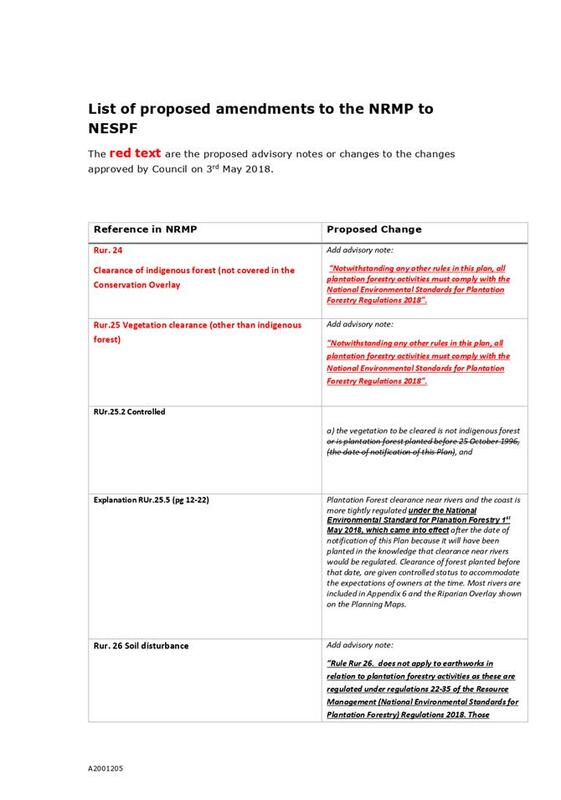 5.1 Council is required to makes changes to the NRMP to implement the NESPF as soon as practical after 1 May 2018. The Council has the option to make stricter provisions for matters relating to freshwater and biodiversity. 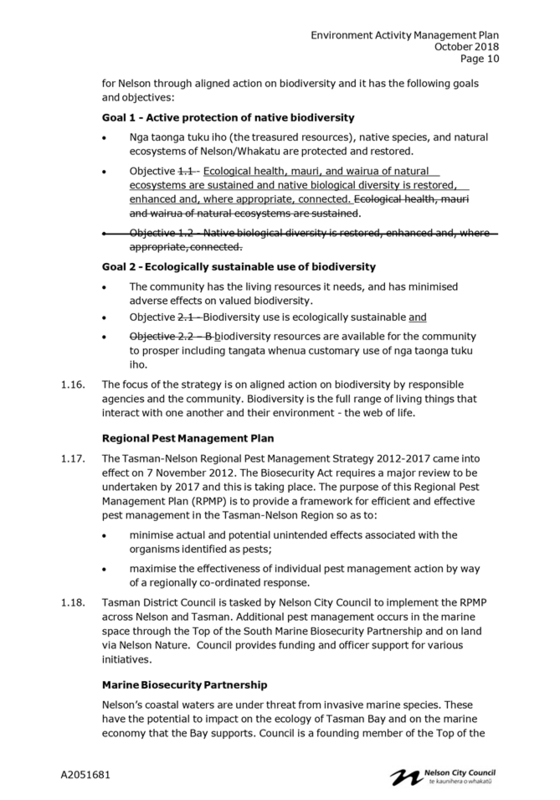 The freshwater and biodiversity provisions of the NRMP are subject to significant changes as part of the Nelson Plan review. 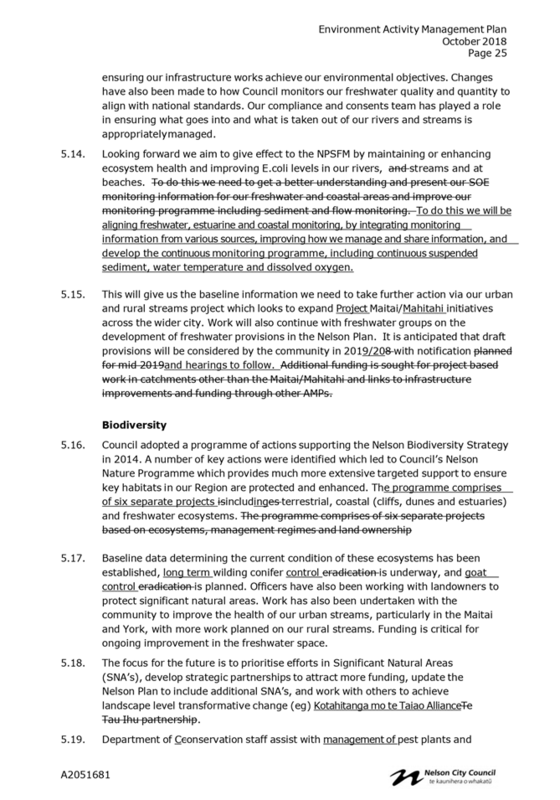 It is not considered efficient or effective to alter the NRMP biodiversity and freshwater standards when these provisions are subject to significant change and further community engagement throughout 2019/2020. 6.1 The proposed amendments will ensure that the NRMP aligns with the NESPF and meets the requirements of the Resource Management Act 1991. The proposed amendments will provide for greater certainty and clarity for all Plan users. The amended changes to the NRMP are required by the NESPF under the Resource Management Act so the proposal to make these changes now is appropriate. The further consideration of forestry provisions as part of the Nelson Plan engagement is the most efficient means of achieving the purpose of the Resource Management Act and meets the efficiency and effectiveness requirements of the Local Government. Implementing the amendments aligned the NRMP to recognise the NESPF in accordance with the requirements of the RMA and provides an increased efficiency and certainty of managing plantation forestry activities with Nelson Whakatu. If the amended changes are not accepted there is a risk of uncertainty and inconsistency with regard to forestry activities in Nelson Whakatu. 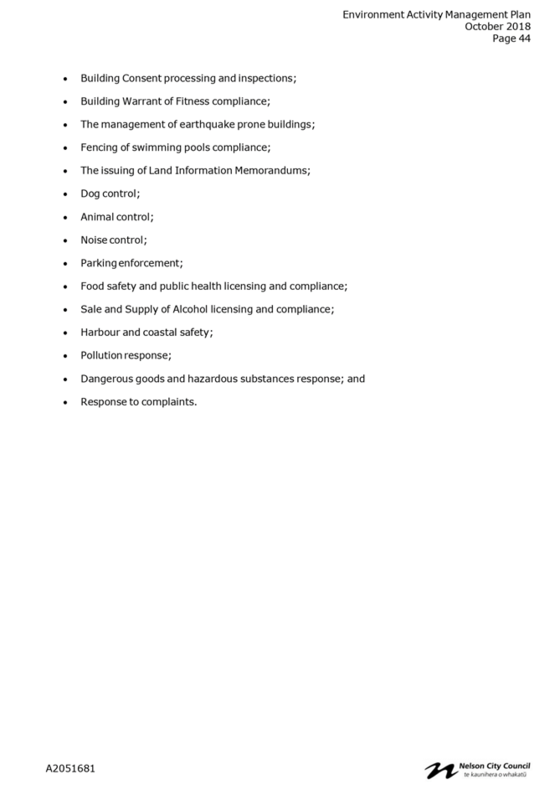 The advisory notes provide for greater clarification to plan users in relation to which activities and effects are provided for under the NESPF and which are provided for under the NRMP. The risk of not providing the amendments could result in forestry activities not gaining Resource Consent under the NRMP, where the potential for adverse effects of forestry activities are not provided for under the NESPF but are still provided for under the NRMP. The costs associated with changes to the NRMP relate to staff time and have been factored into the Nelson Plan budget. The recommendations will not add to these anticipated costs. The NESPF allows for monitoring to be on charged to applicants as part of the resource consent process. This matter is of medium significance given the number of people affected by the change. However, the NESPF requires Councils to make changes to the NRMP without going through the formal submission and hearing process. Key stakeholders are aware of this and will be involved in future changes considered in the development of the Nelson Plan. Iwi were involved in the development of the NESPF and the proposed changes align the NRMP to the NESPF and therefore specific consultation with Iwi was not proposed.